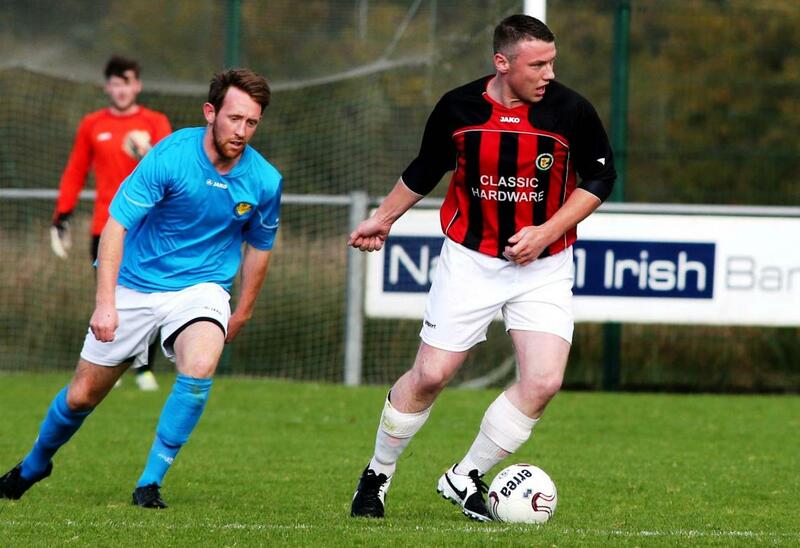 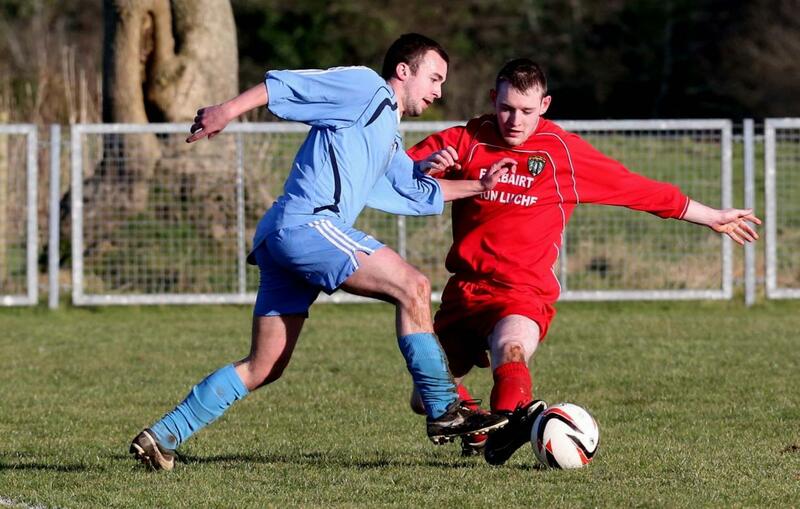 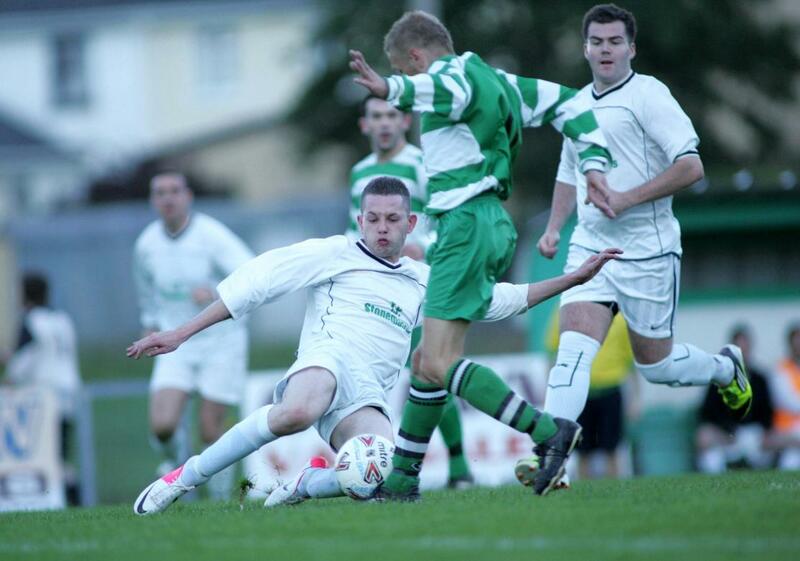 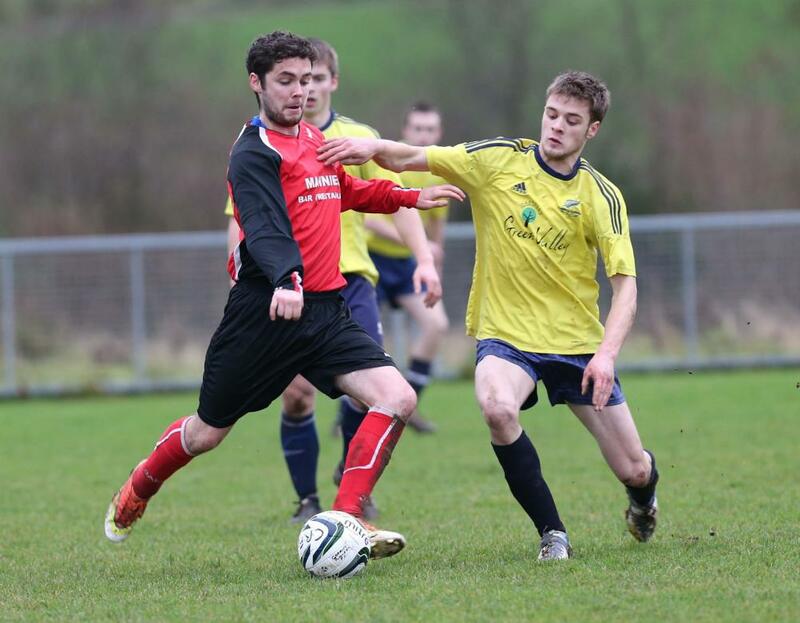 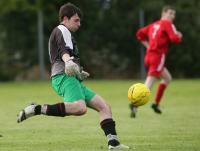 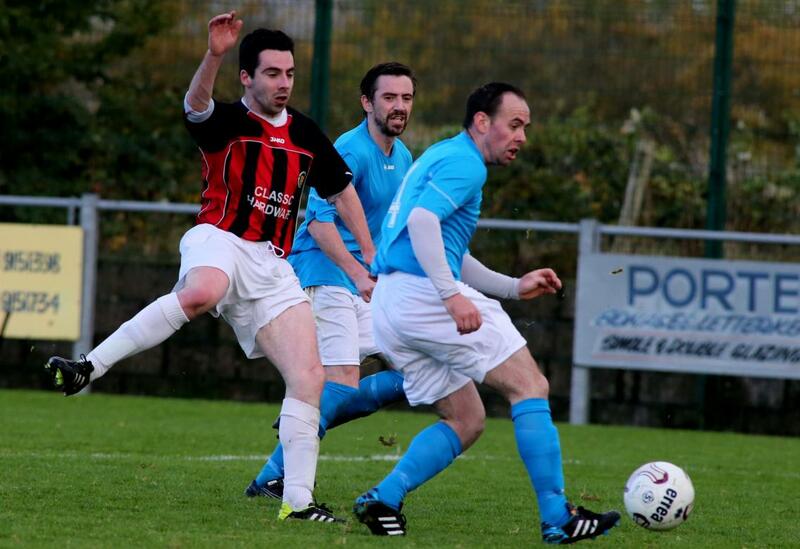 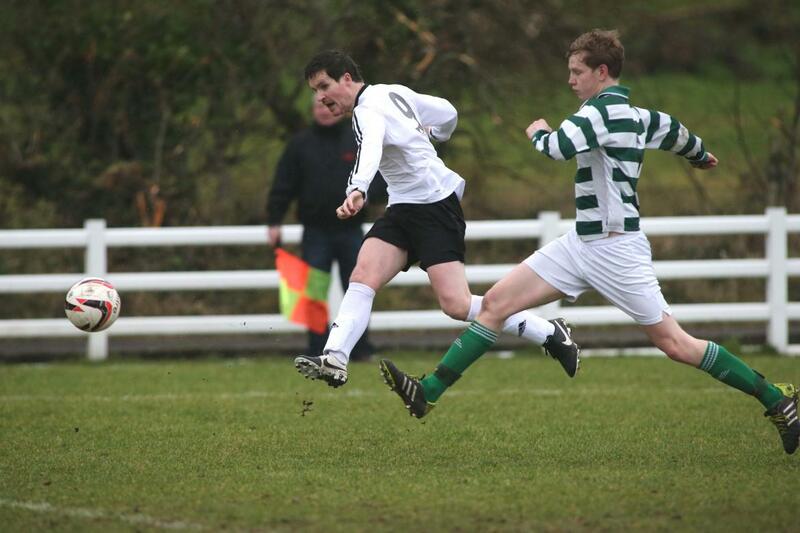 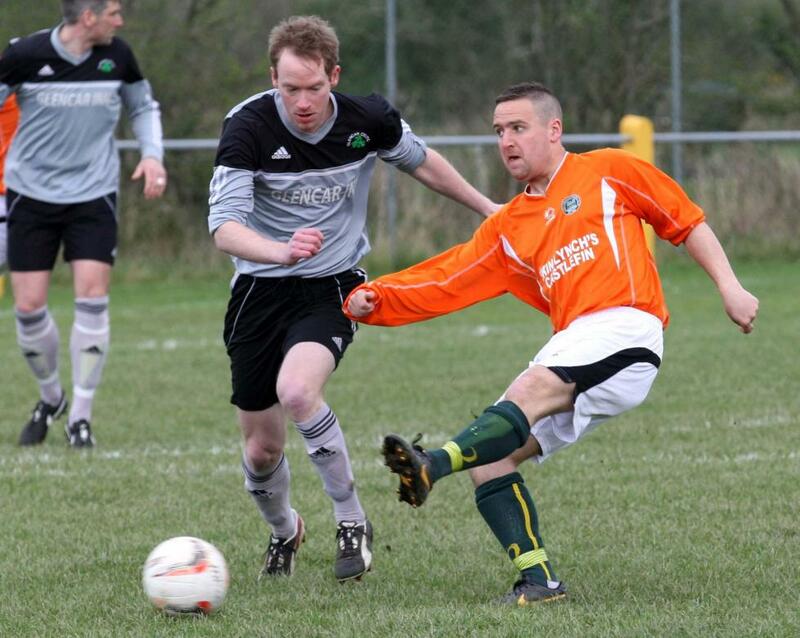 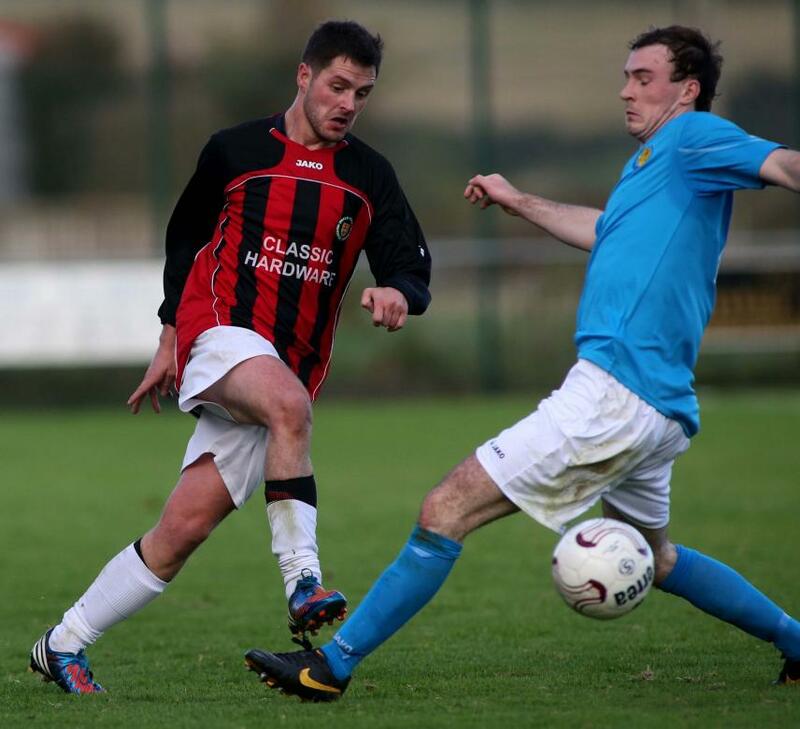 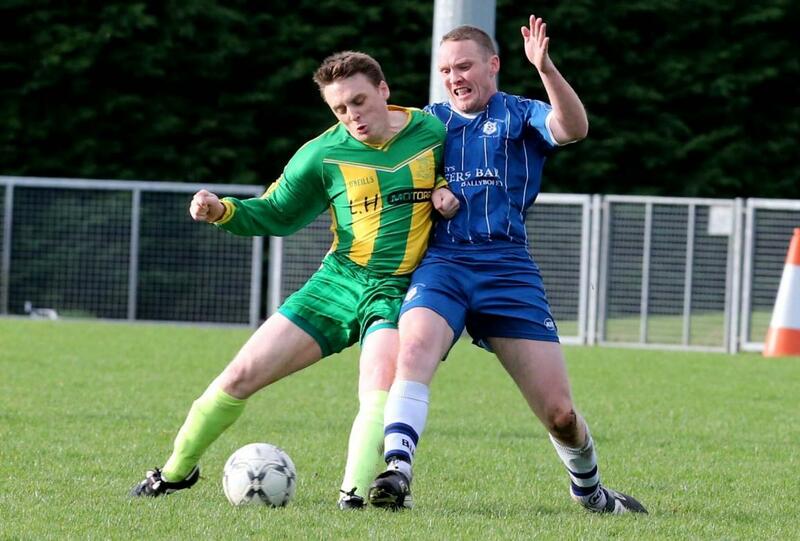 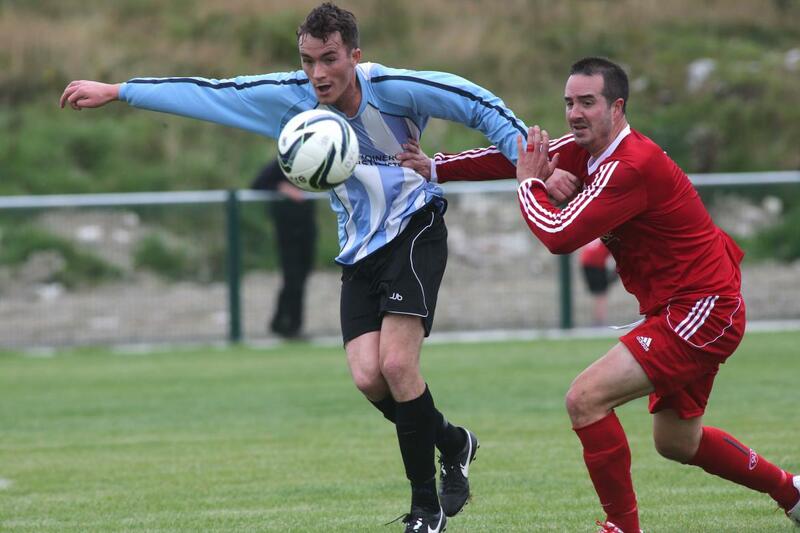 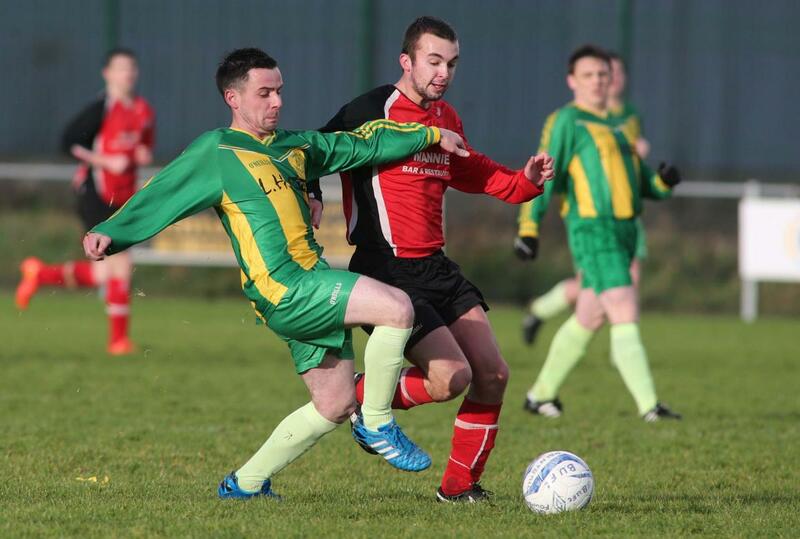 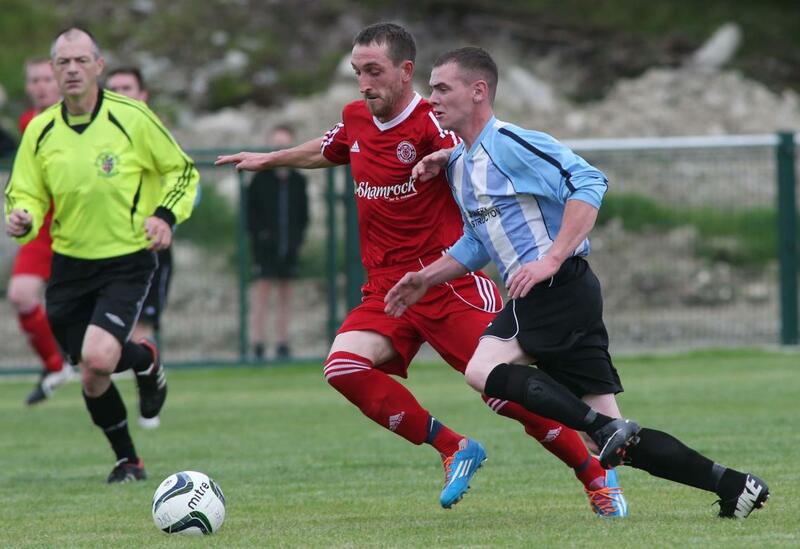 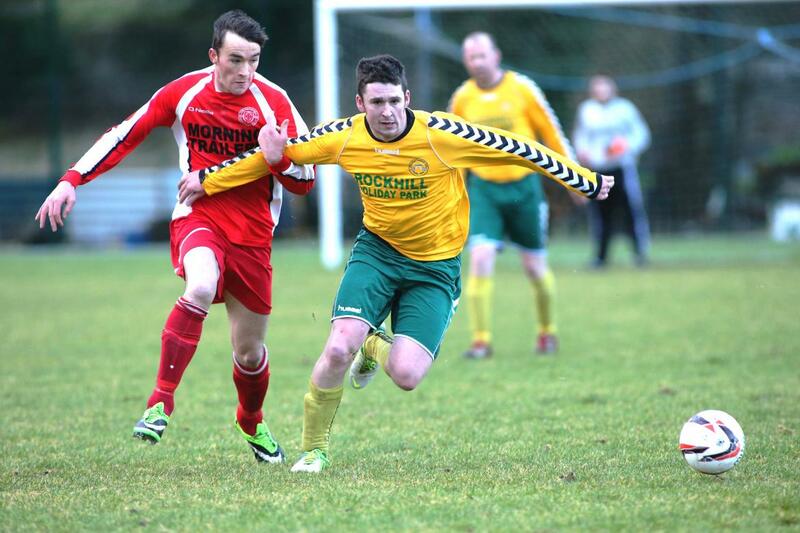 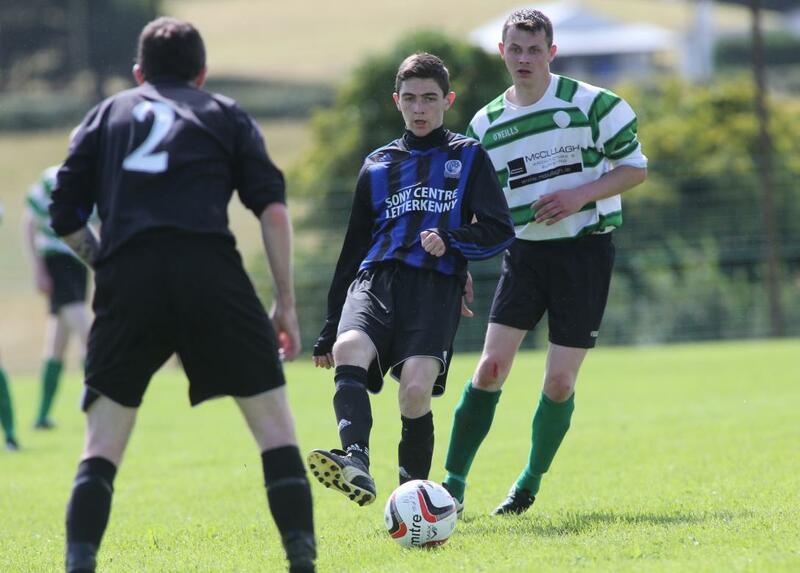 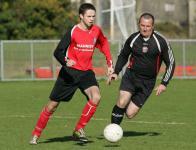 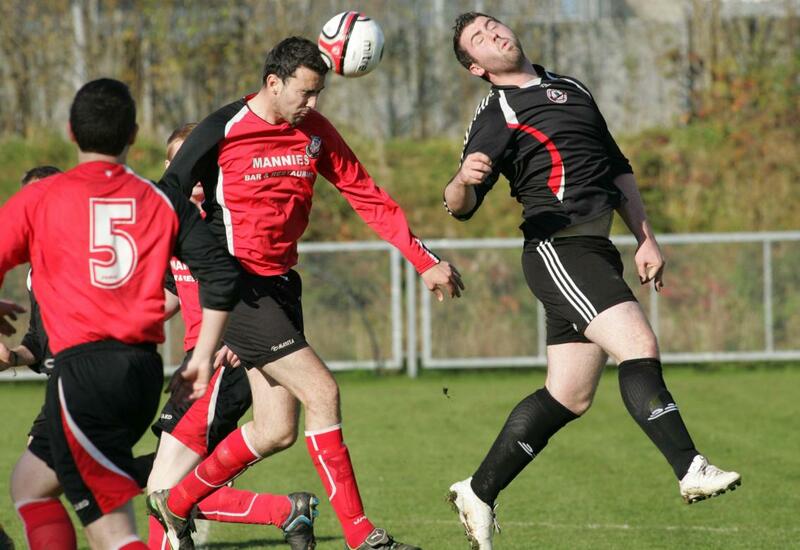 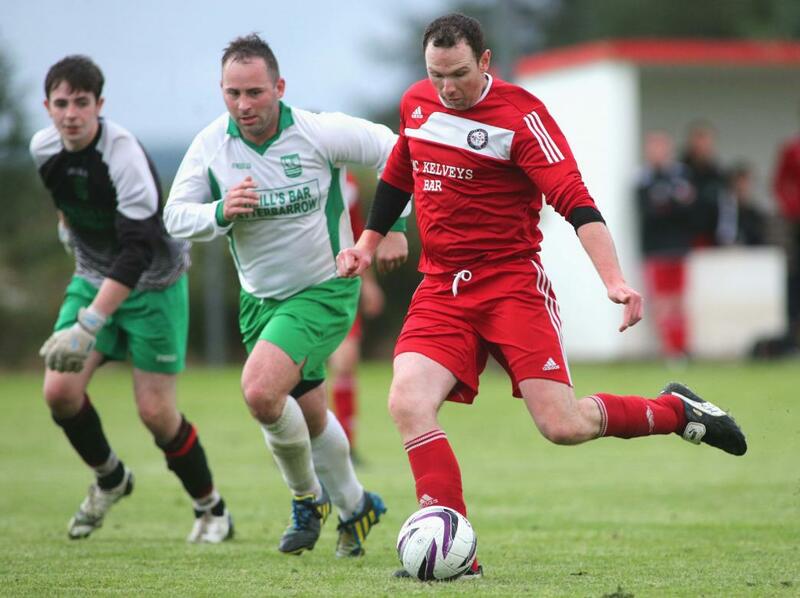 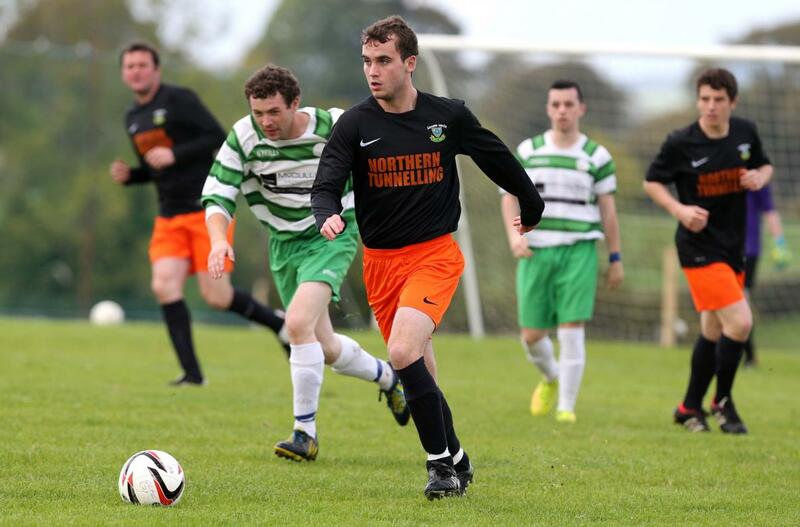 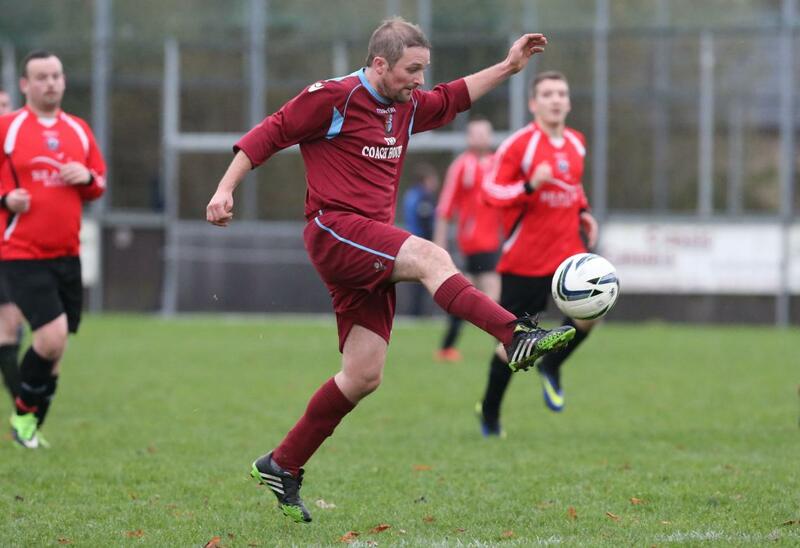 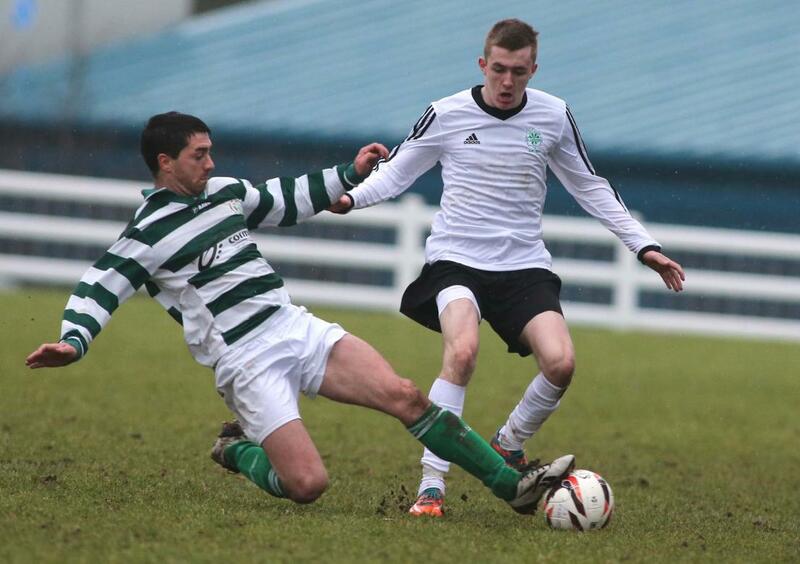 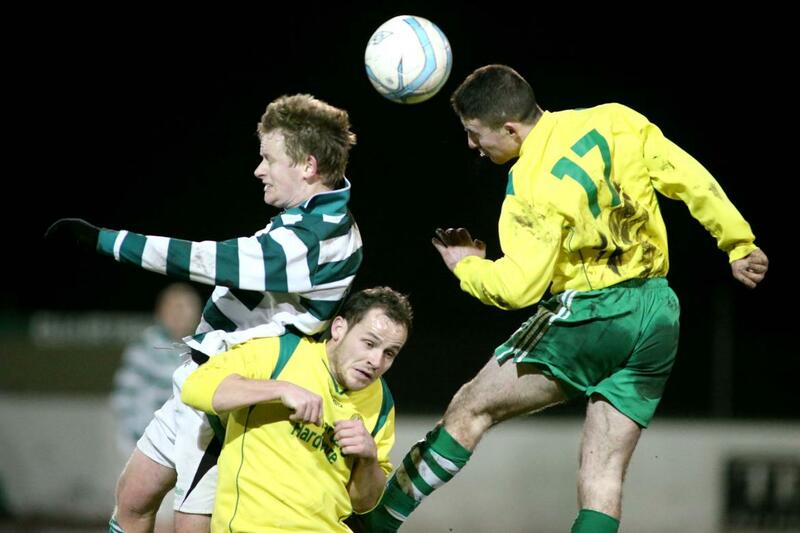 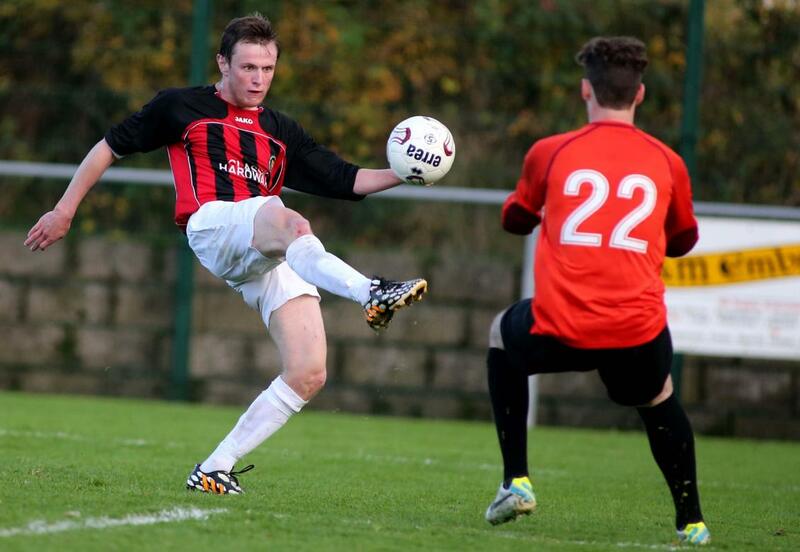 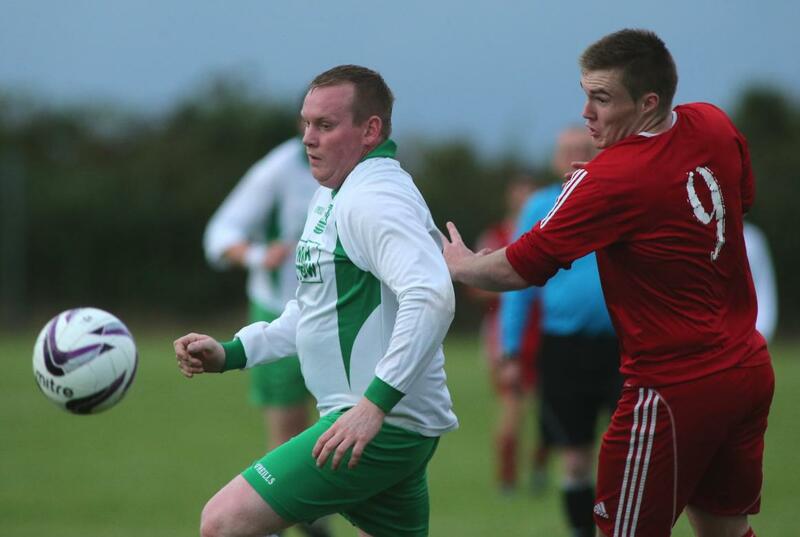 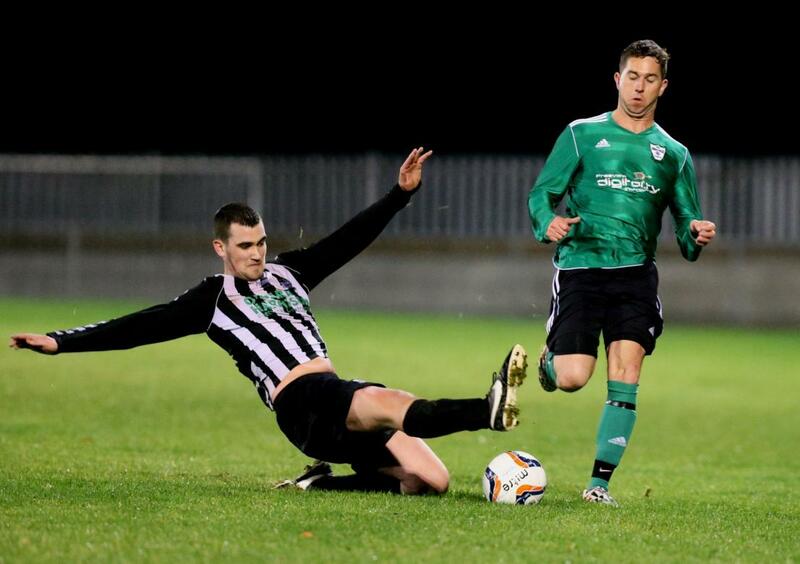 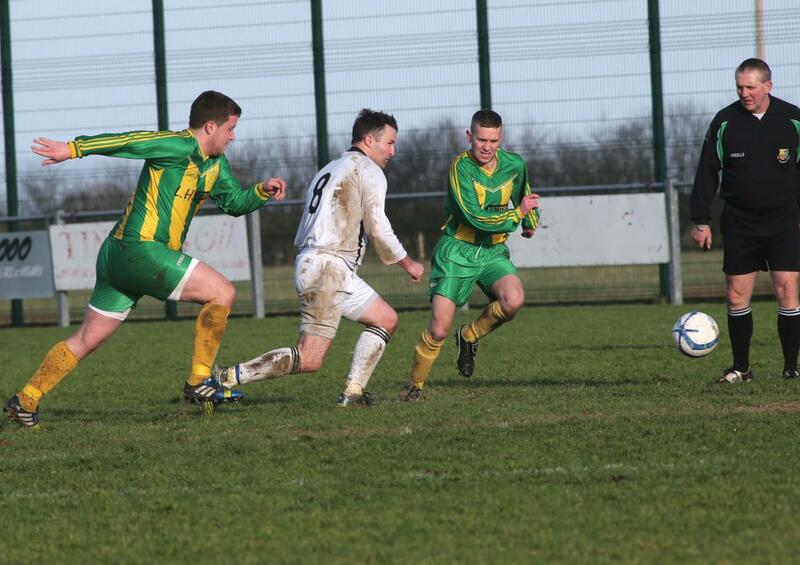 Action from the 3-3 draw between Convoy Arsenal and Dunlewey Celtic at Orchard Park. Action from the match between Raphoe Town and Deele Harps at the Deele College Ground in Raphoe. .
Barry Rose tries a shot during the St. Catherines v Rathmullan Celtic match at Emerald Park. 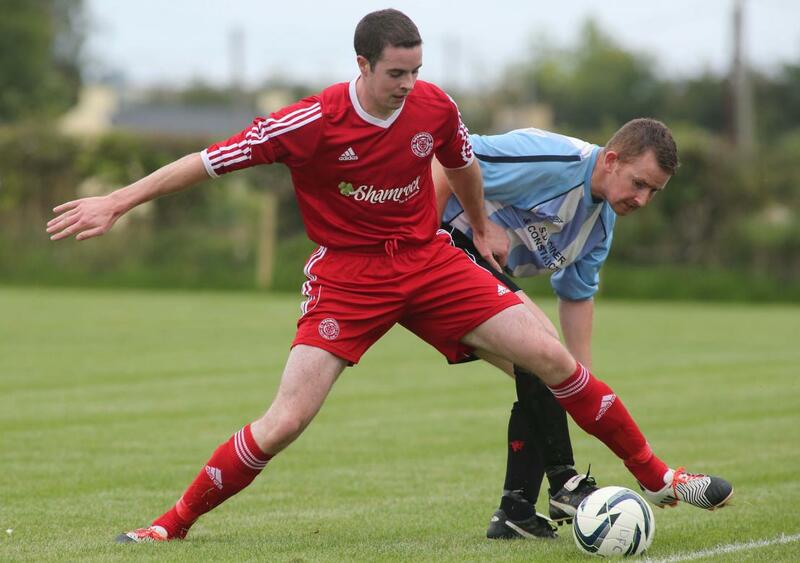 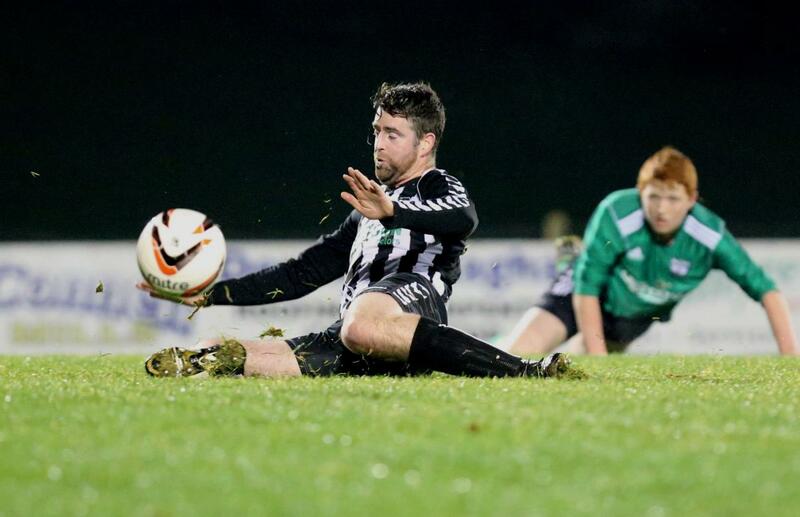 Benny Mc Laughlin scores the match winning goal against Monaghan Cavan earlier today at Dry Arch Park, Bonagee. 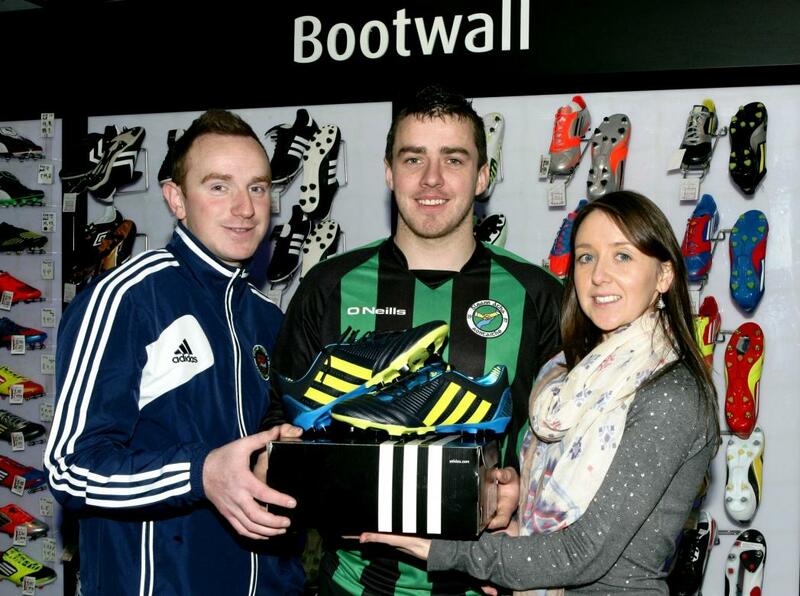 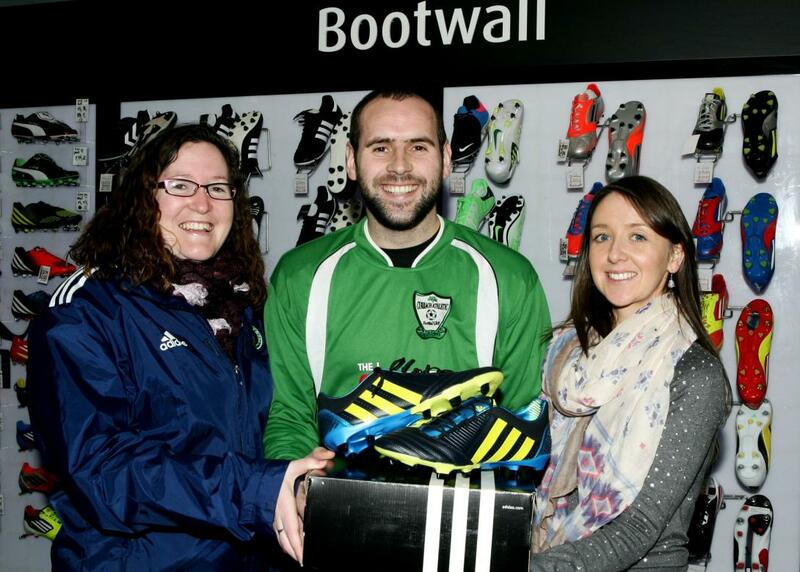 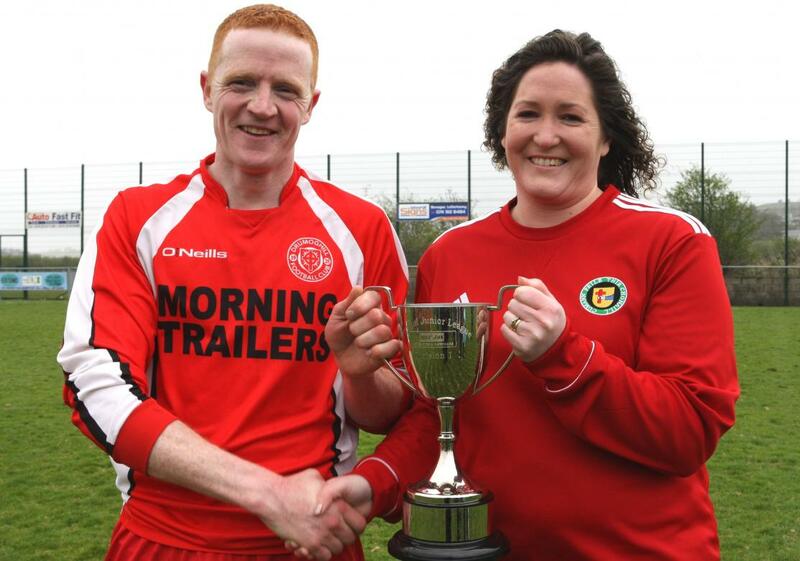 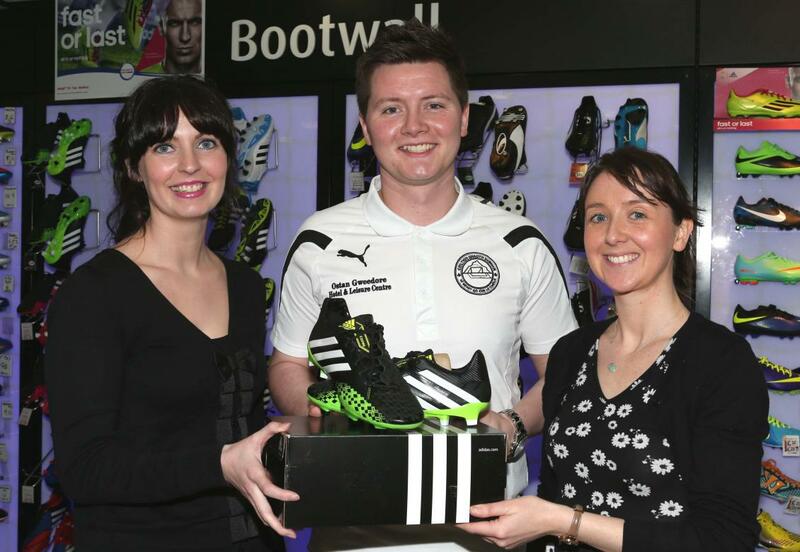 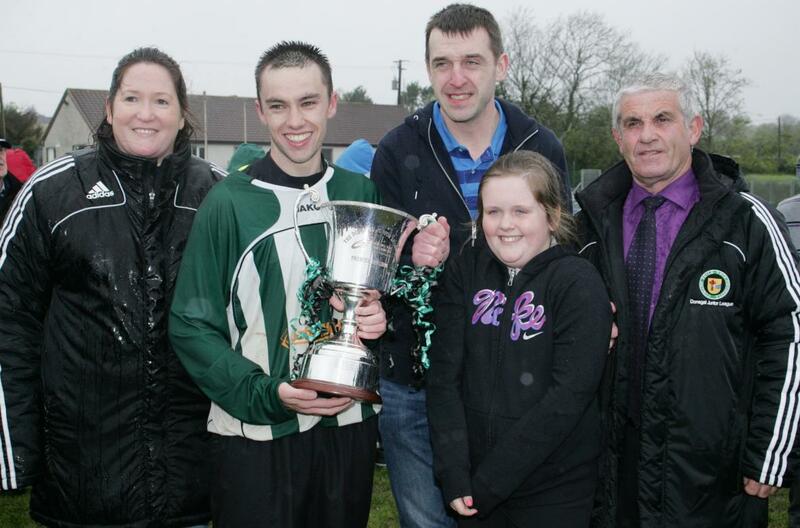 Christina O' Donnell presenting the Division One Cup to Christopher O' Donnell of Drumoghill F.C. 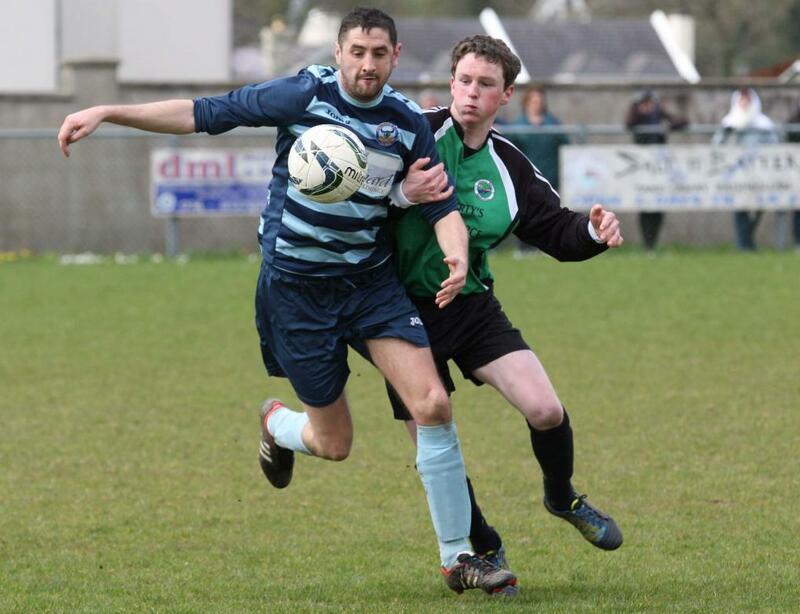 Damien Crossan and David O' Carroll in a tussle for possession. 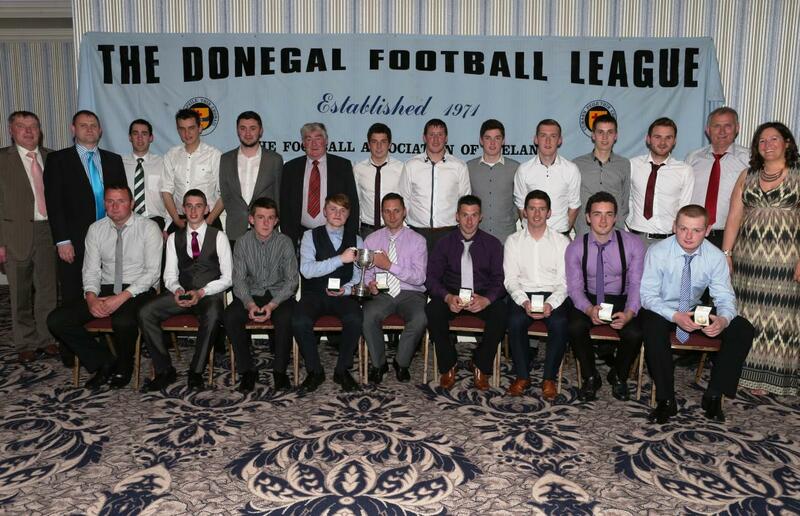 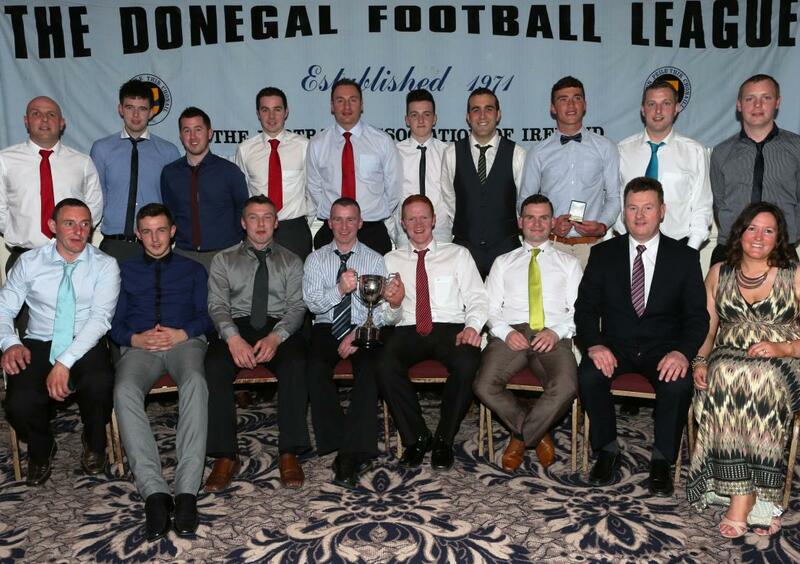 Donegal Junior League Oscar Traynor Panel 2014/'15 travel to play the Inishowen League on Wednesday night next November 19th. 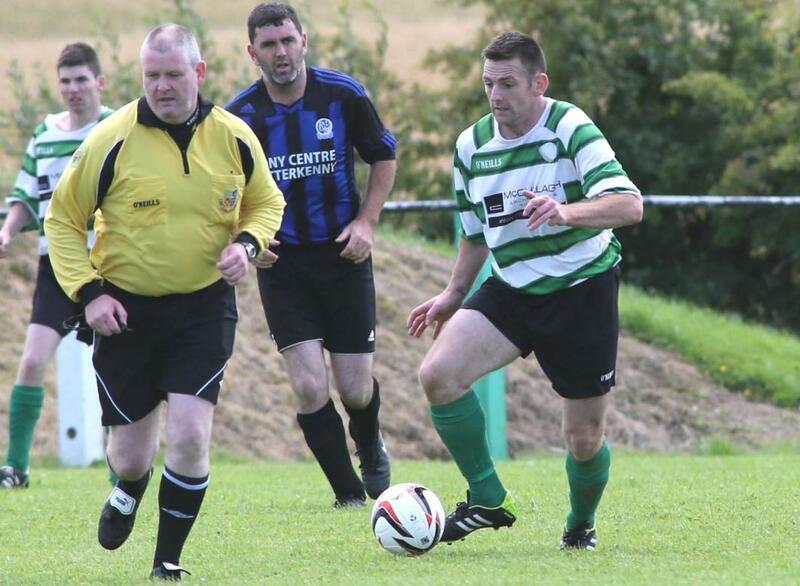 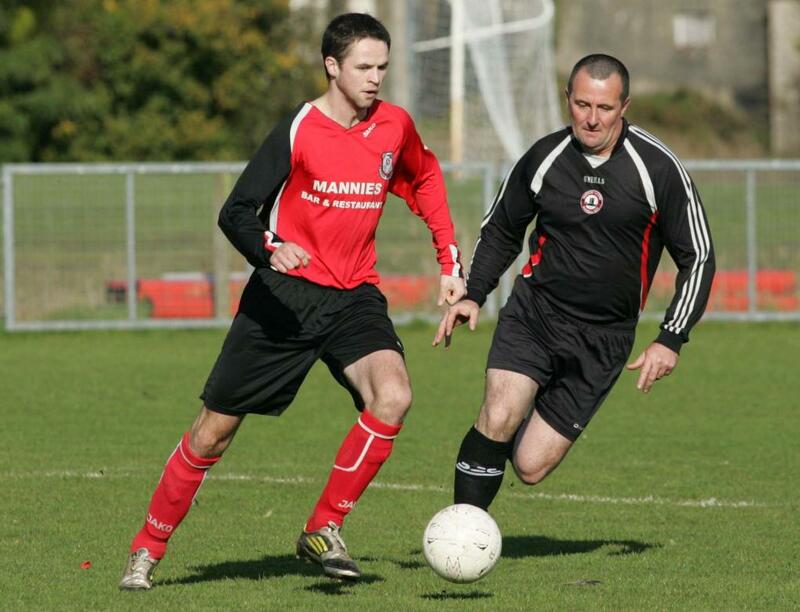 Enda Kenny kicks the ball out during the Cappry Rovers v Letterbarrow Celtic Cup match. 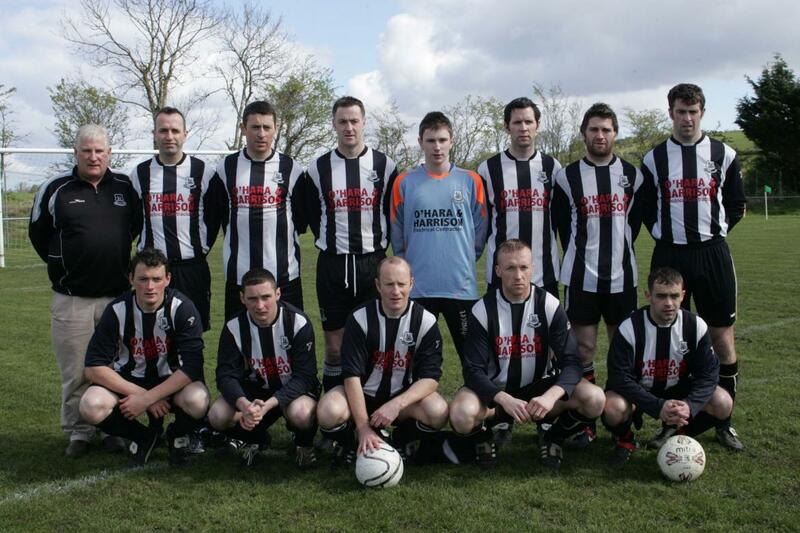 The Erne Wanderers team who were defeated by Glencar Celtic in the semi final of the Downtown Cup at Ballyare. 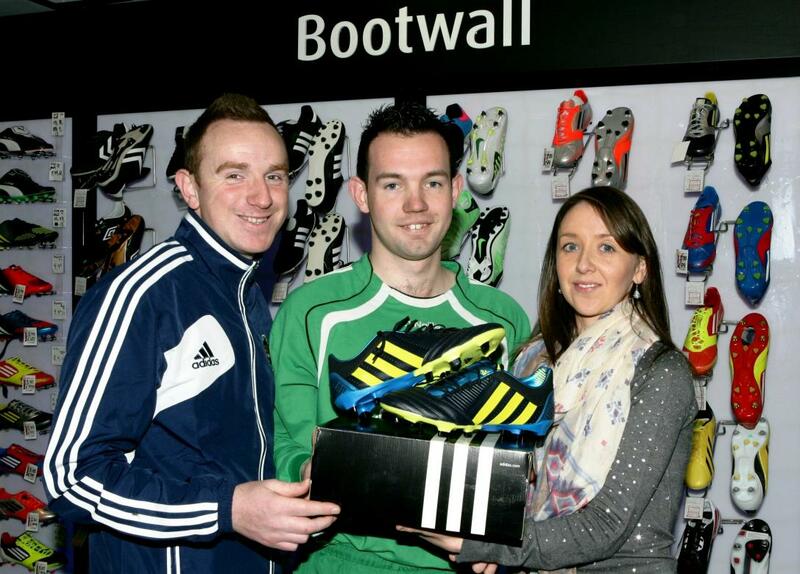 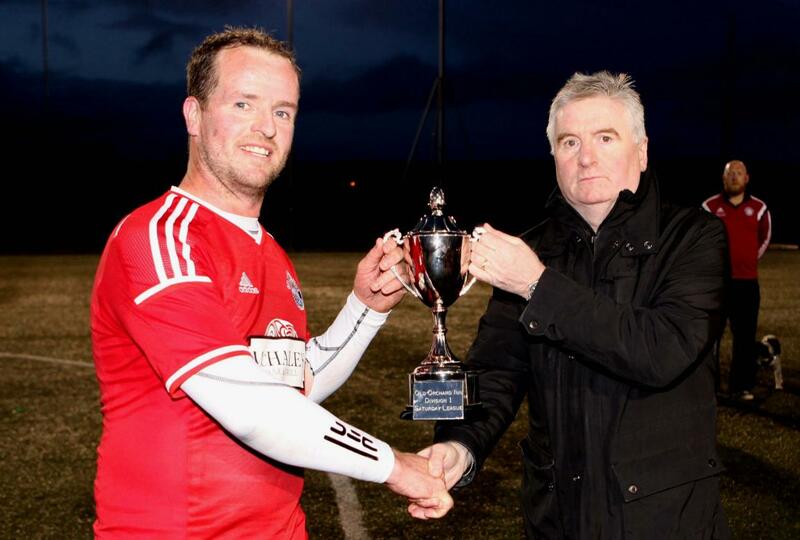 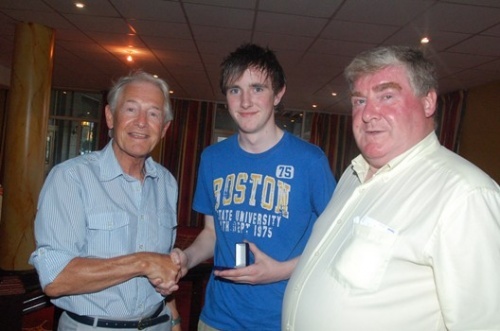 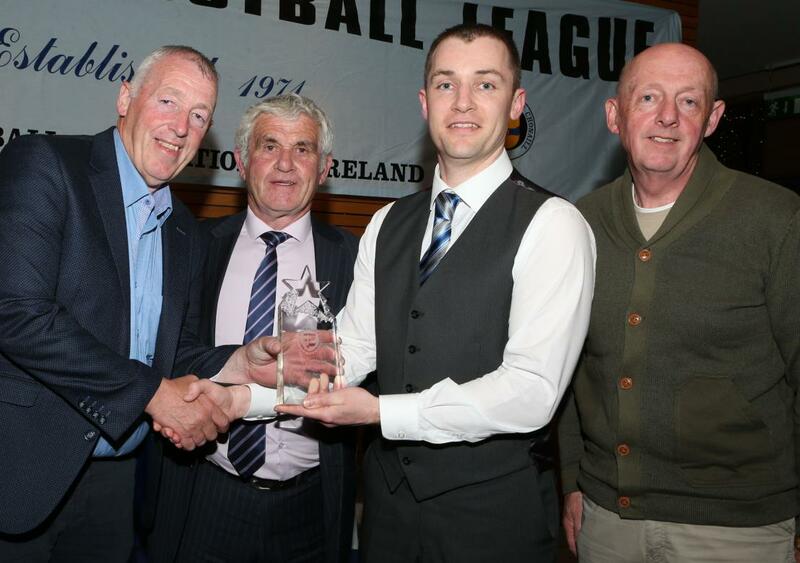 Gerry Early of Arranmore United pictured receiving the George Mc Mullan 'Fair Play Award' from John Mc Mullan. 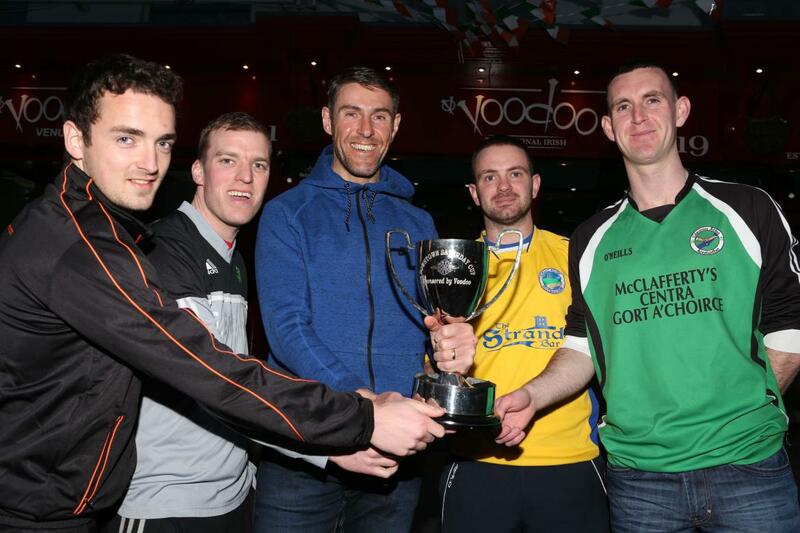 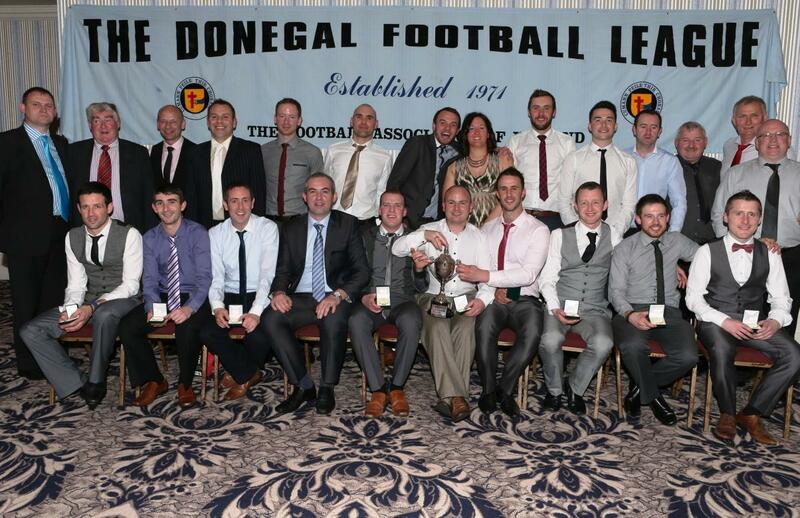 Included are League Chairman & Treasurer John Joe Mc Cafferty and Declan Sherlock respectively. 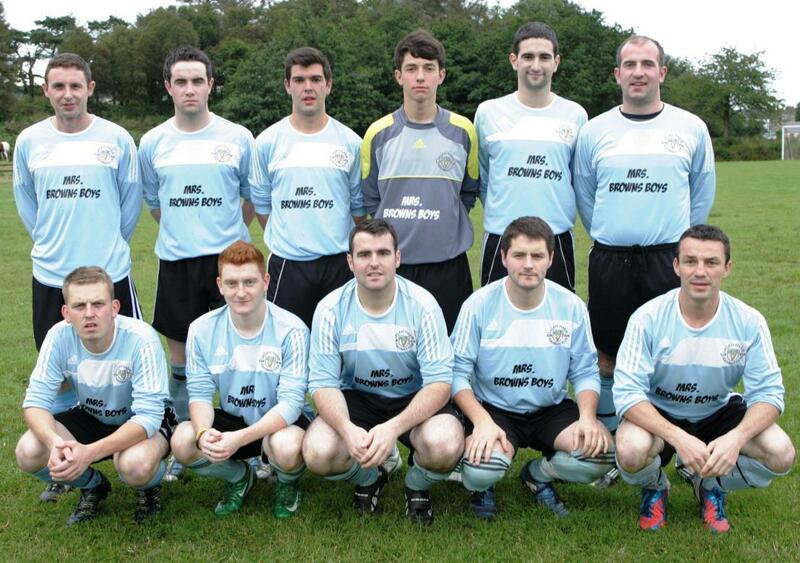 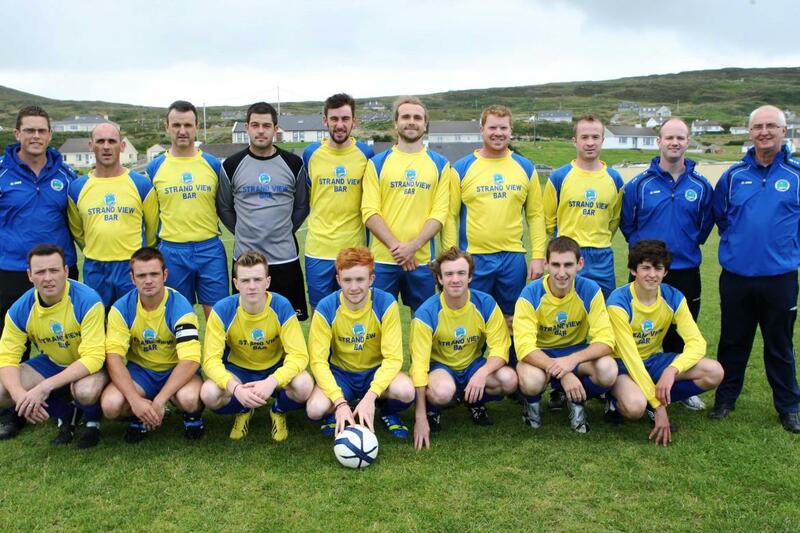 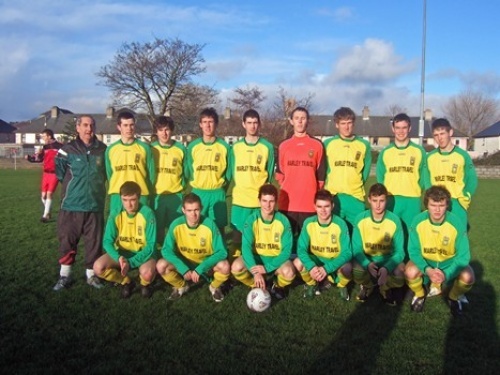 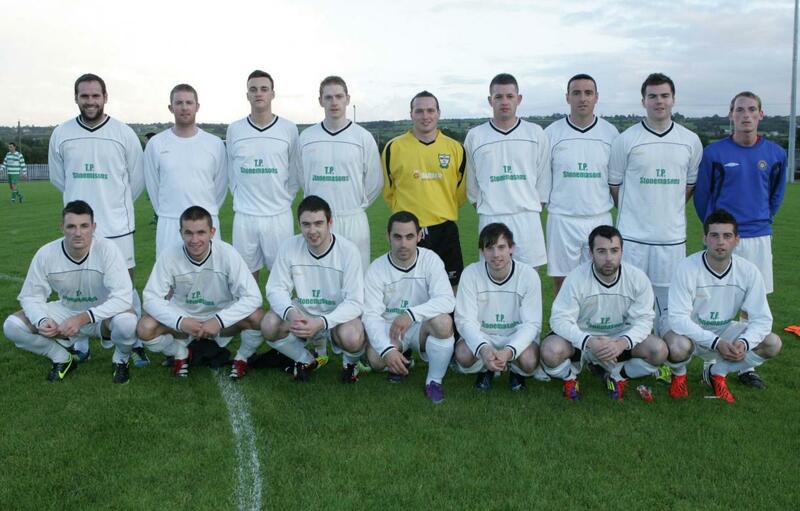 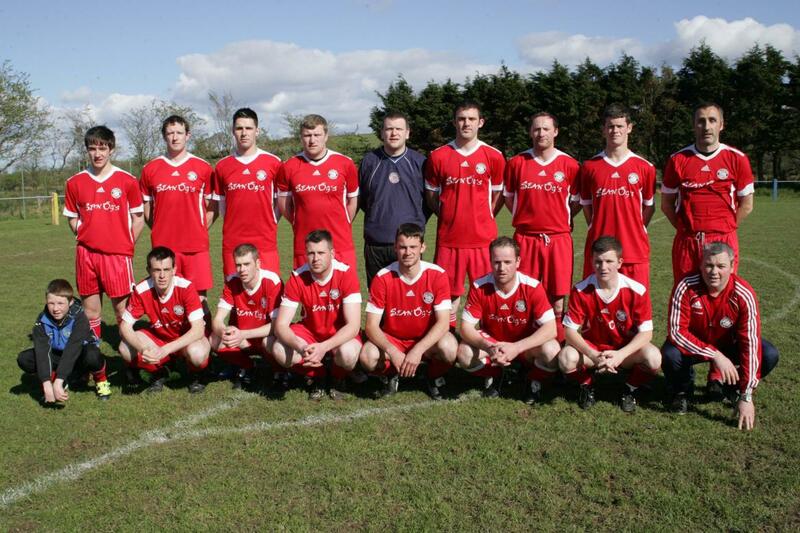 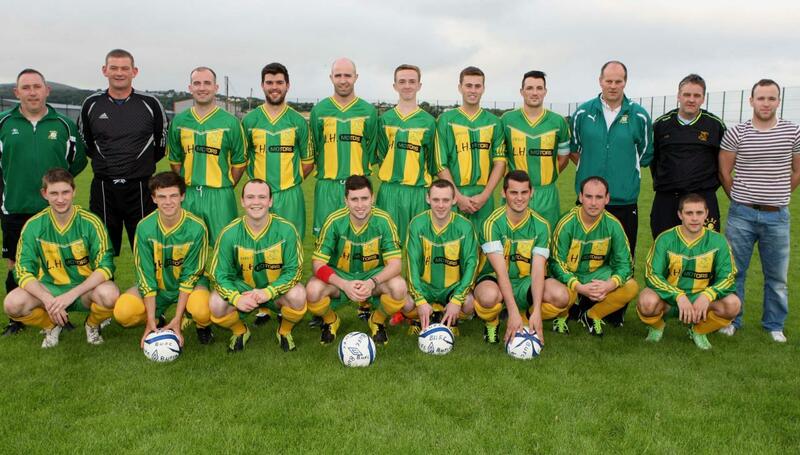 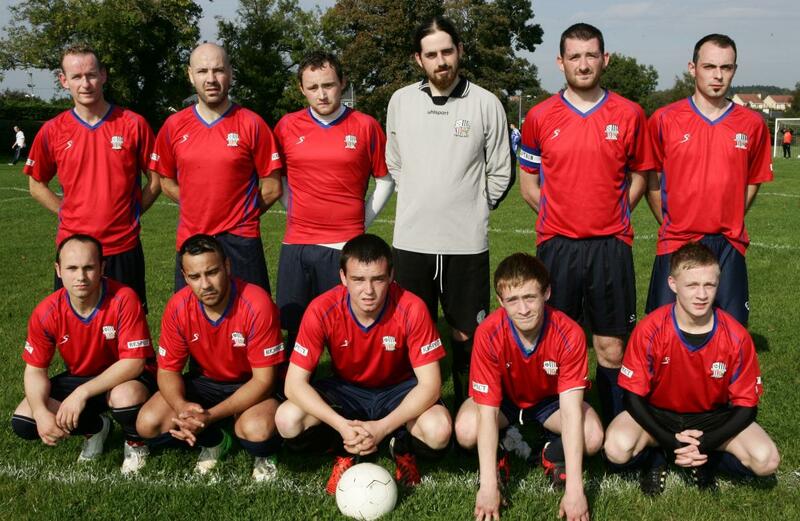 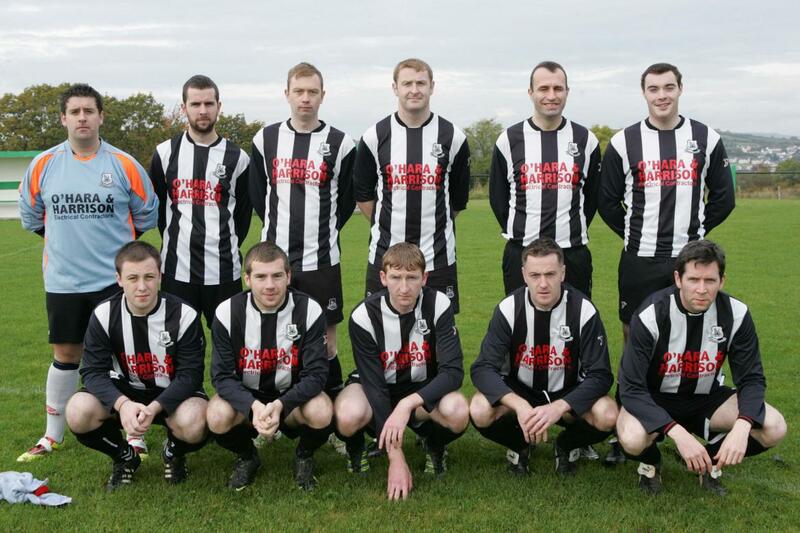 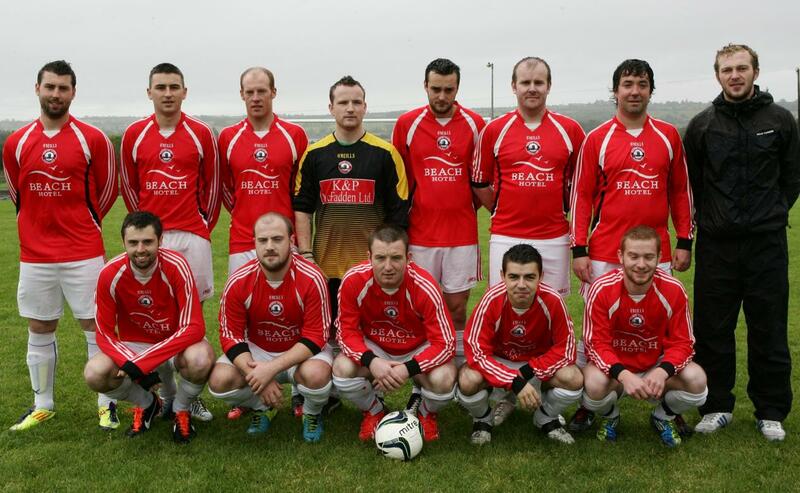 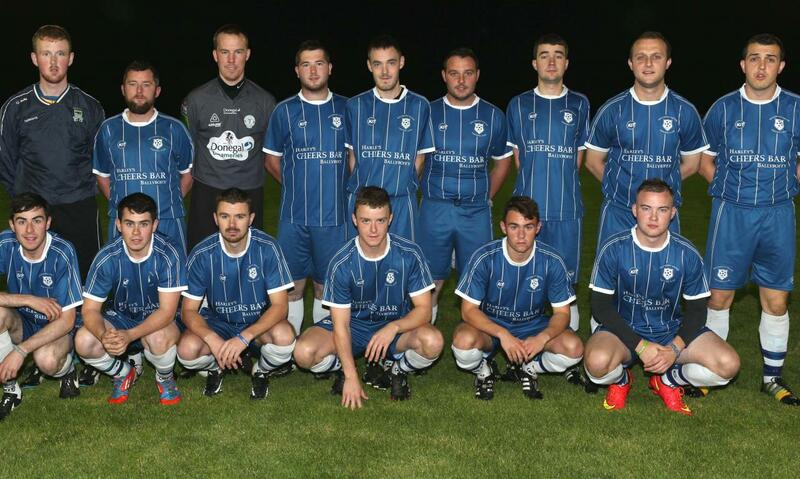 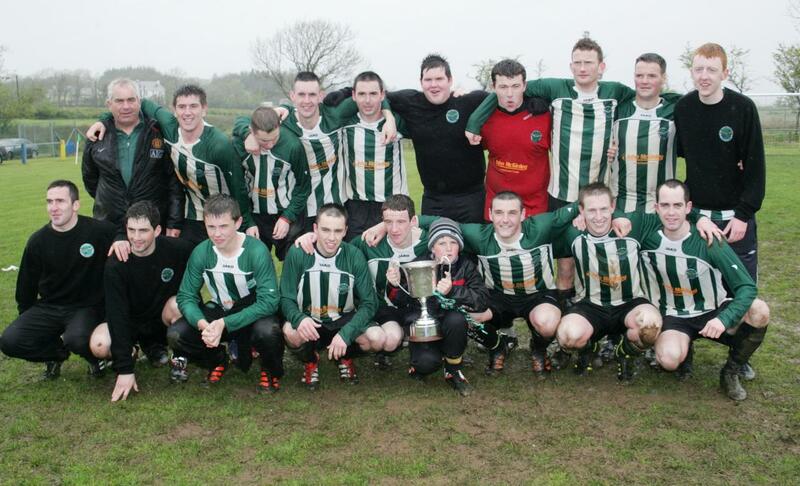 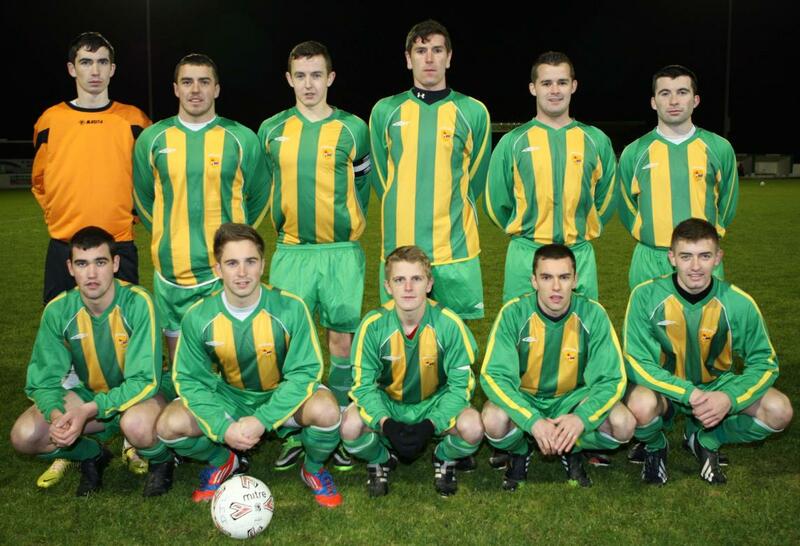 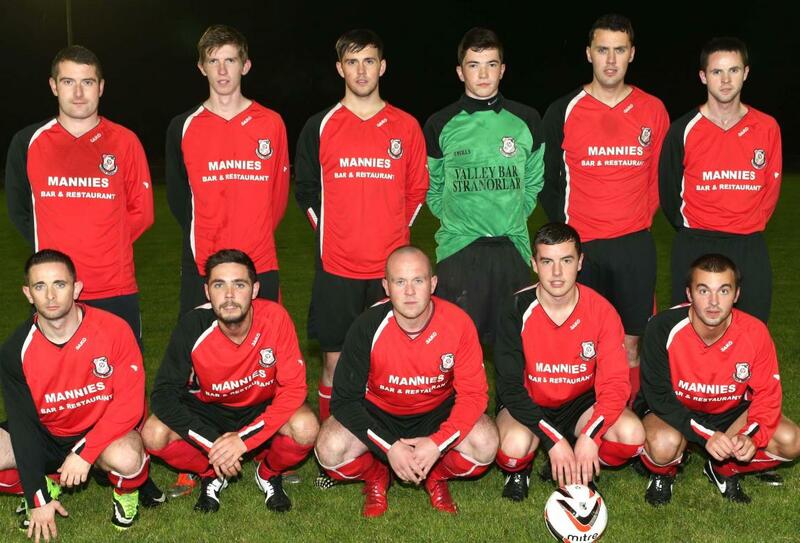 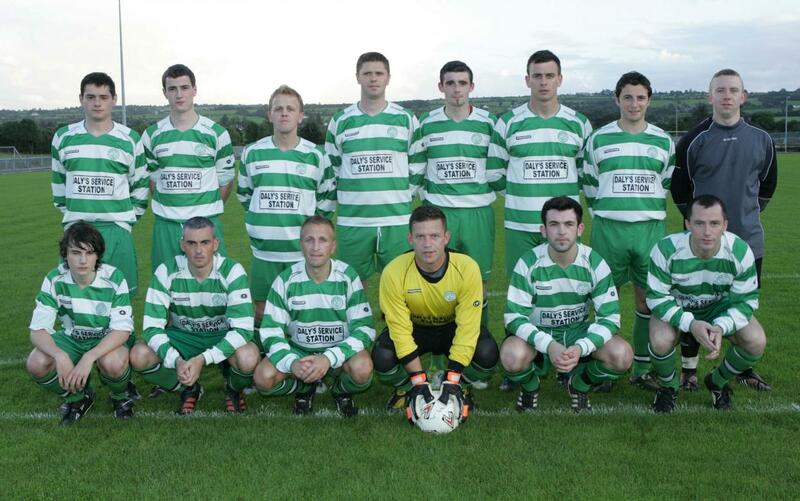 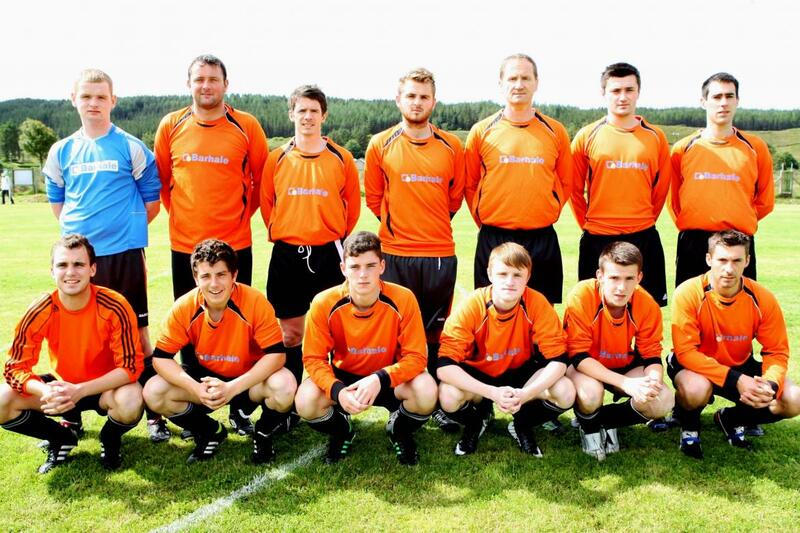 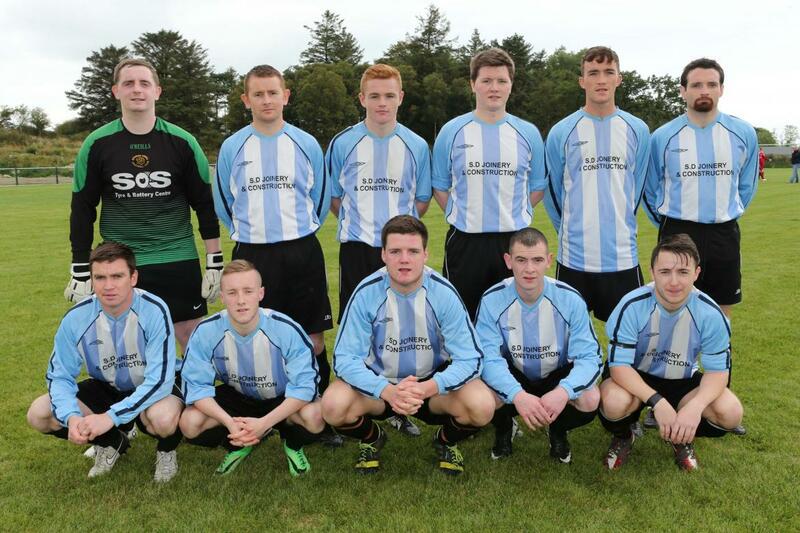 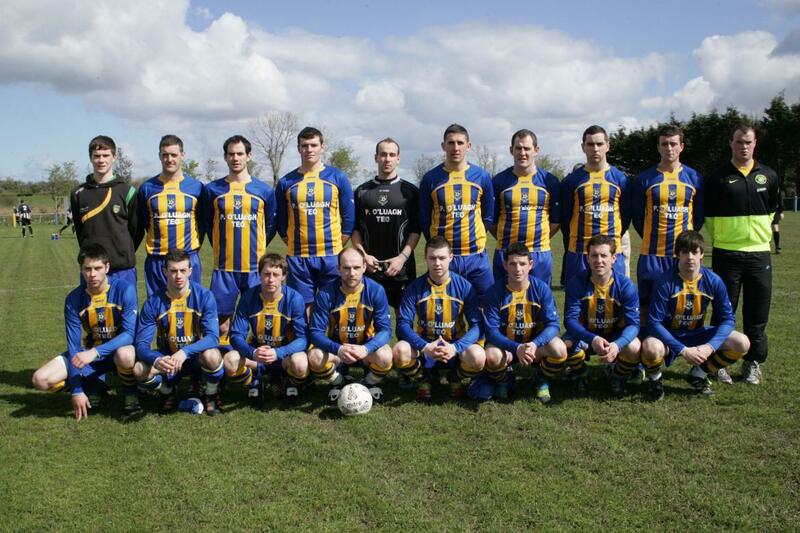 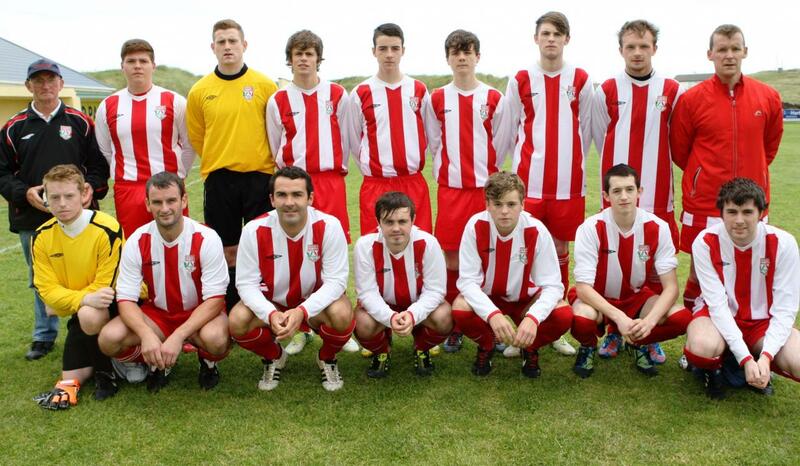 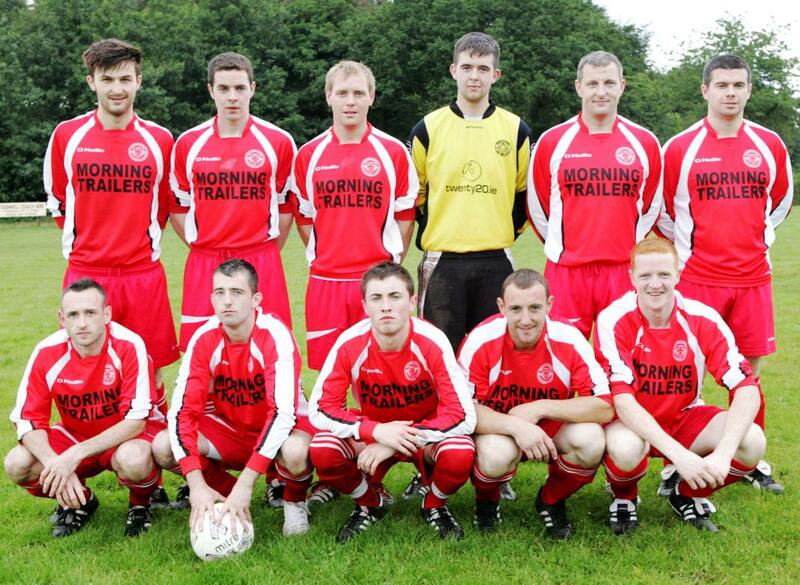 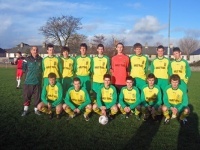 Fintown Harps AFC who were defeated in the semi final of the Downtown Cup by Kilmacrennan Celtic Reserves at Ballyare. 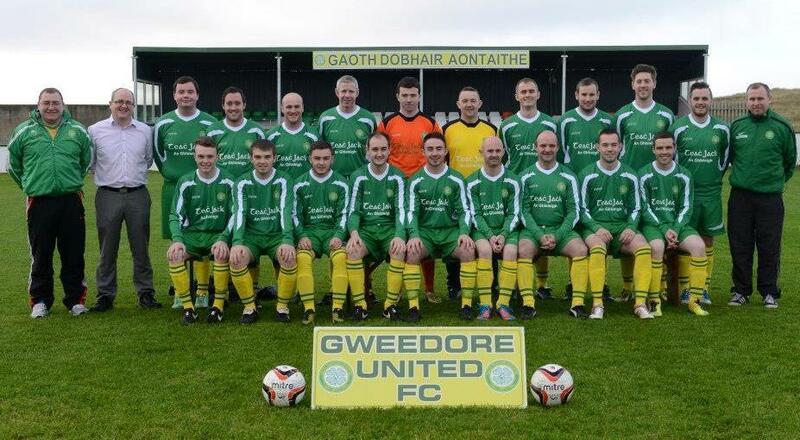 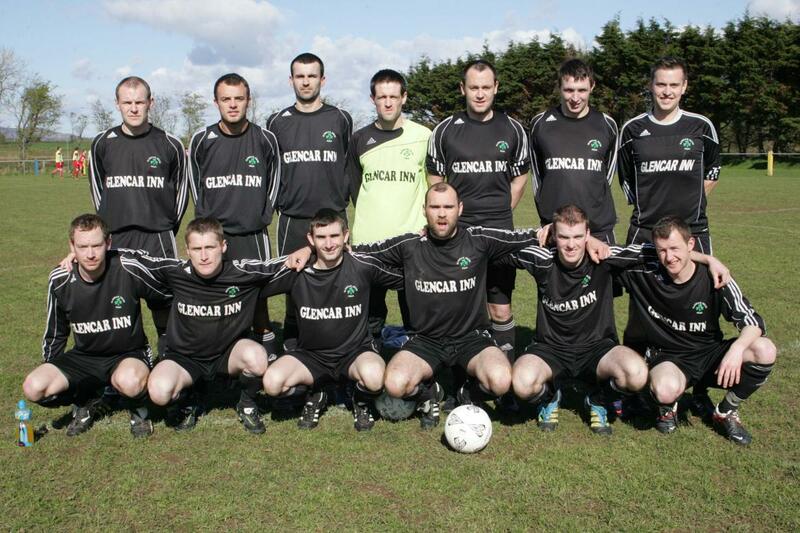 The Glencar Celtic team who qualified for the Downtown Cup final by defeating Erne Wanderers at Ballyare. 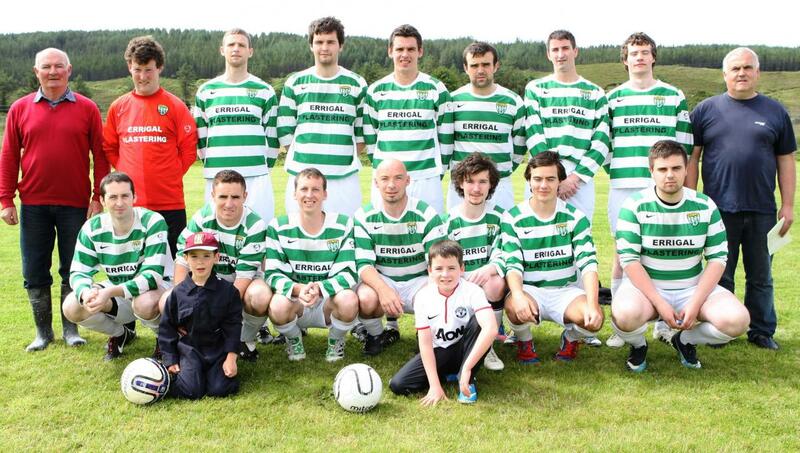 Kildrum Tigers who rejoined the Donegal Junior League ranks today when they visited Drumoghill F.C. 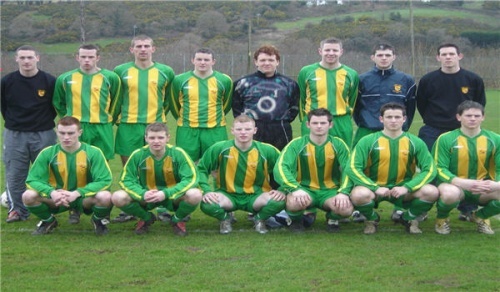 The Kilmacrennan Celtic Reserve team who went through to the final of the Downtown Cup with a victory over Fintown Harps AFC at Ballyare. 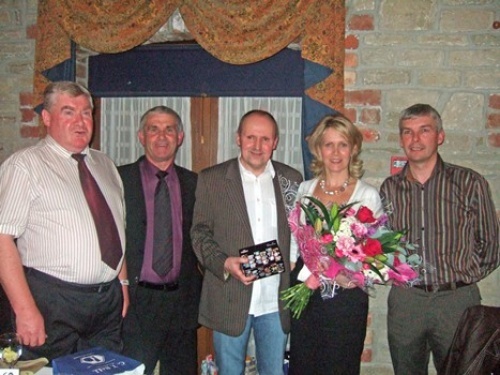 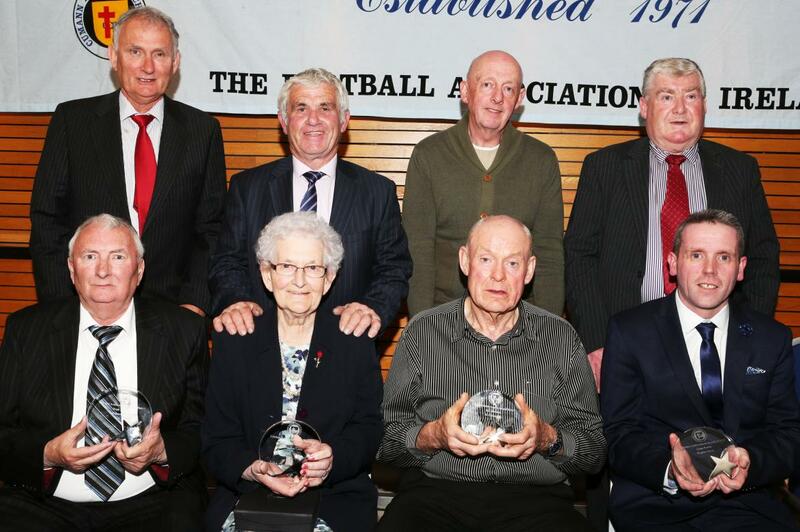 Hugh Rodgers, Mary Mc Ateer, Pat Mc Ginty and Liam Porter who all received Lifetime Achievement Awards at the Donegal Junior League Presentation Function. 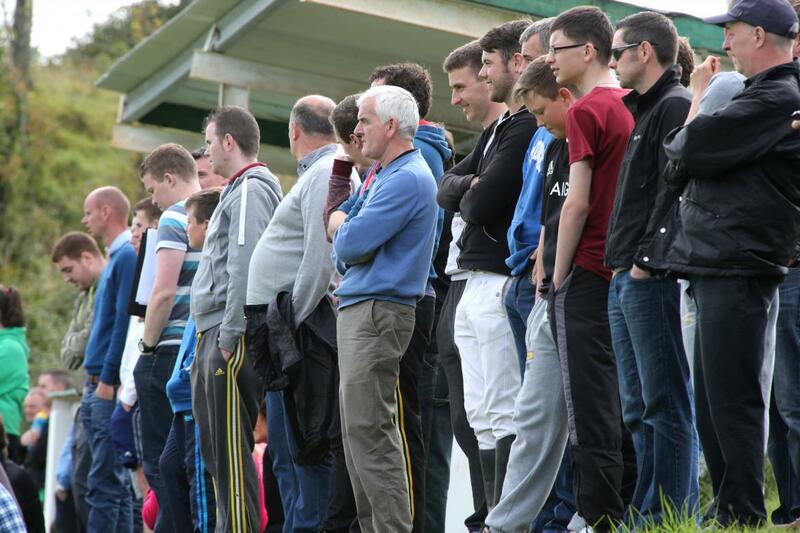 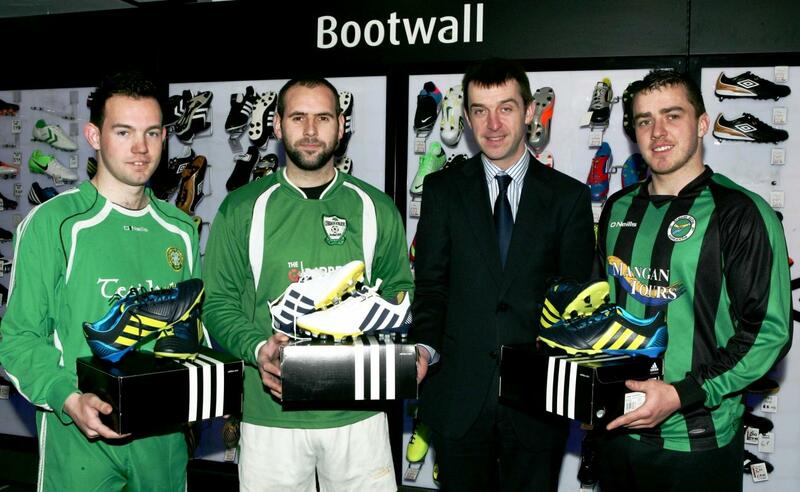 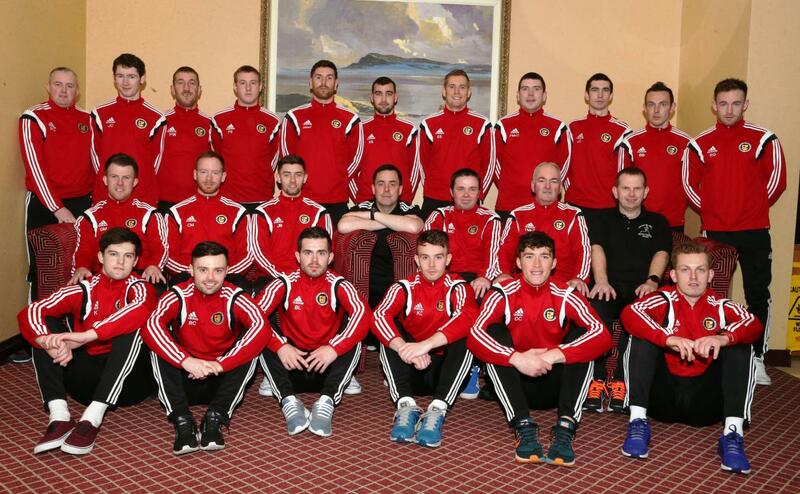 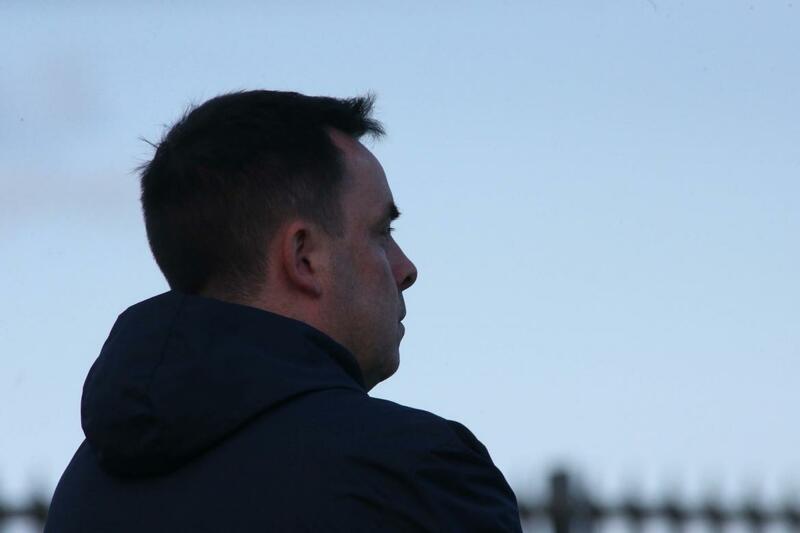 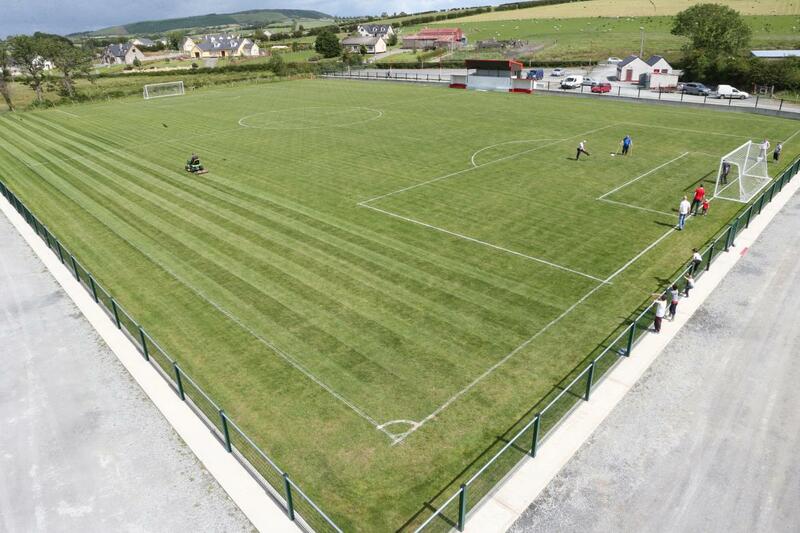 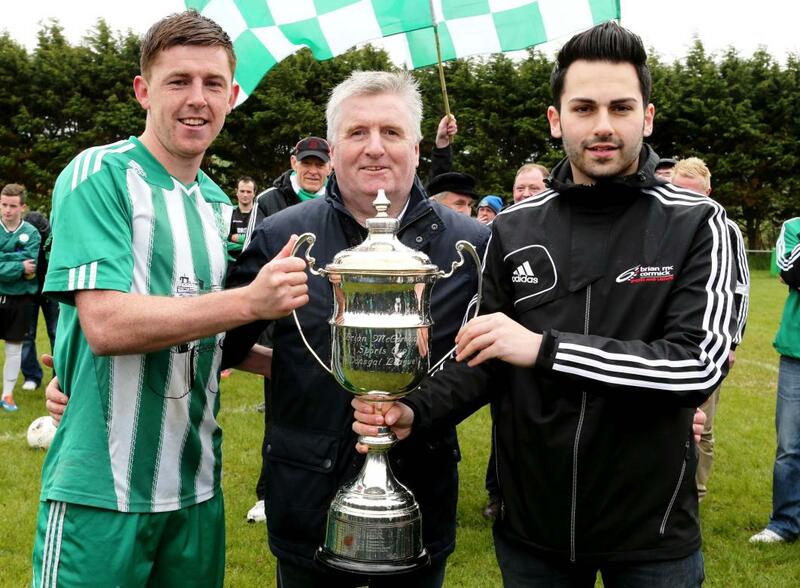 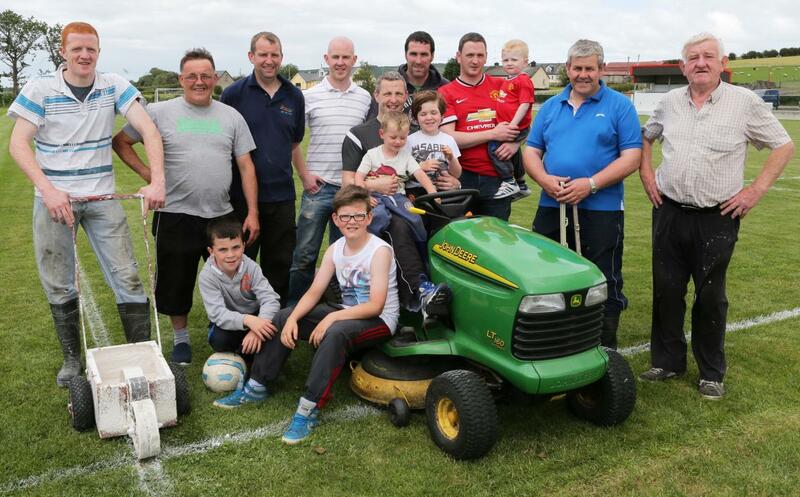 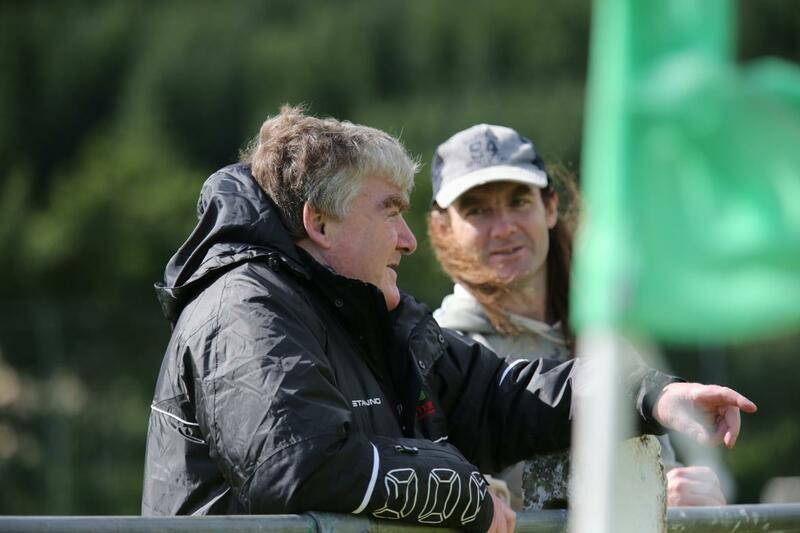 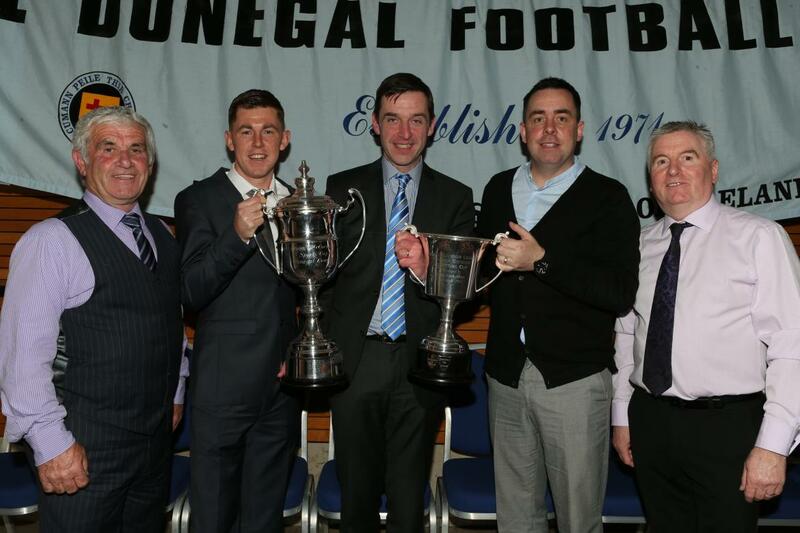 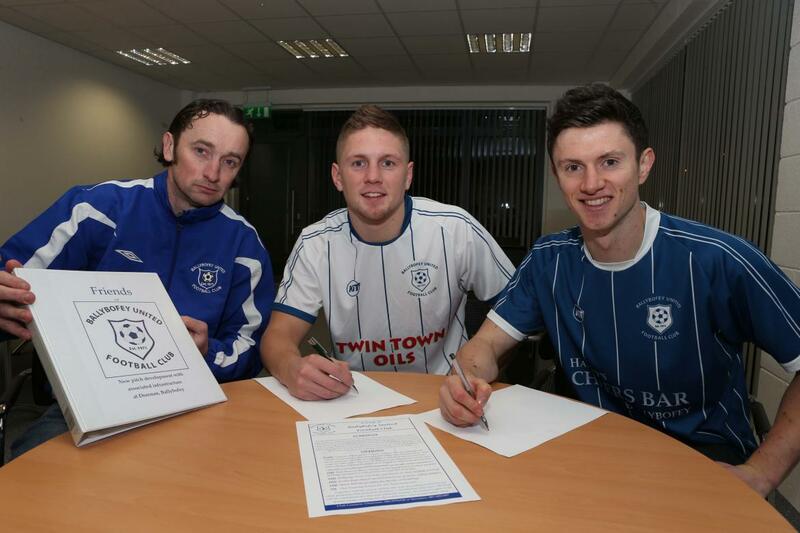 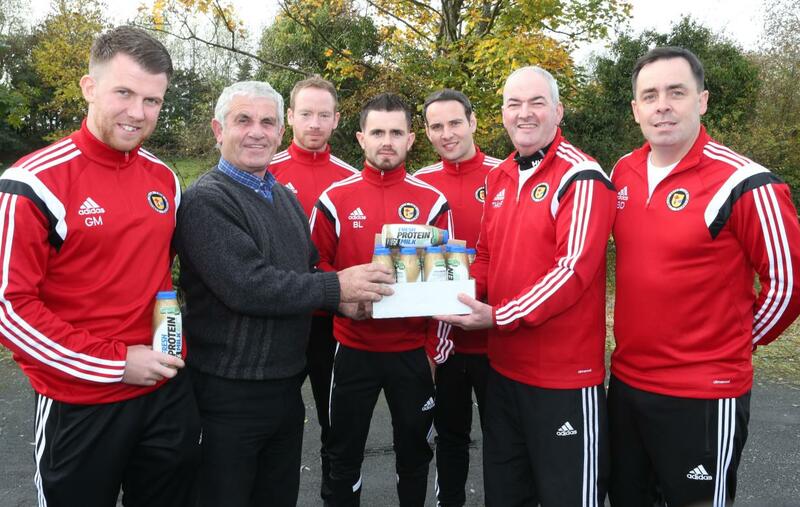 Included are League executive members Gerry Rodgers, John Joe Mc Cafferty, Declan Sherlock and Terry Leyden. 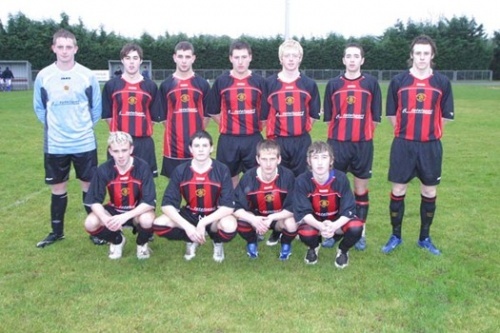 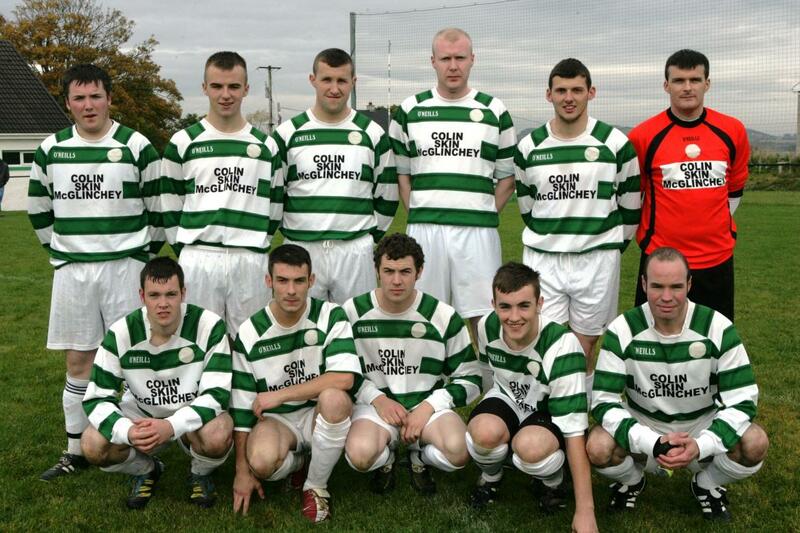 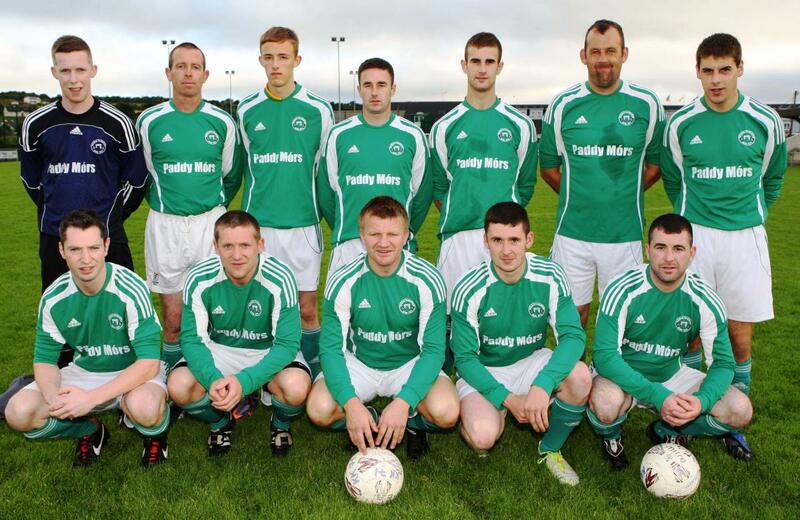 The Mulroy Celtic team who played Tullyvinney Rovers i the Downtown Cup 3rd Match Series. 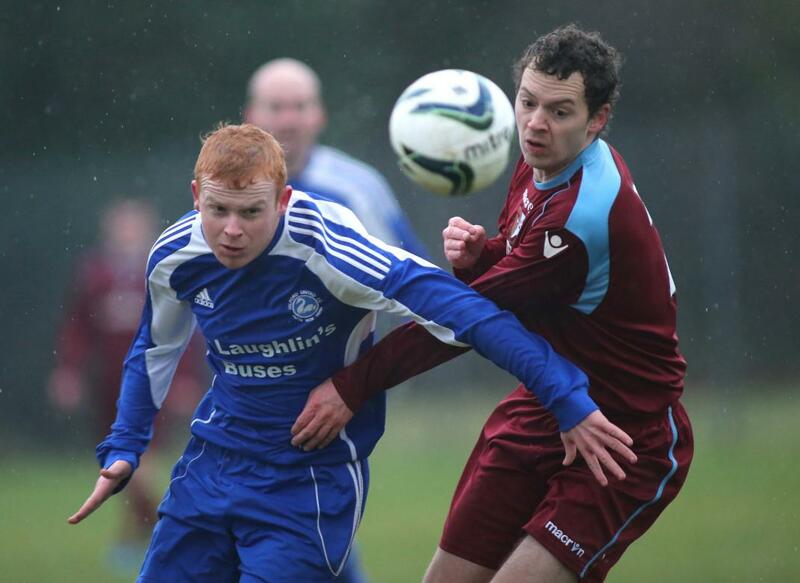 Richie Moore in action against Monaghan Cavan. 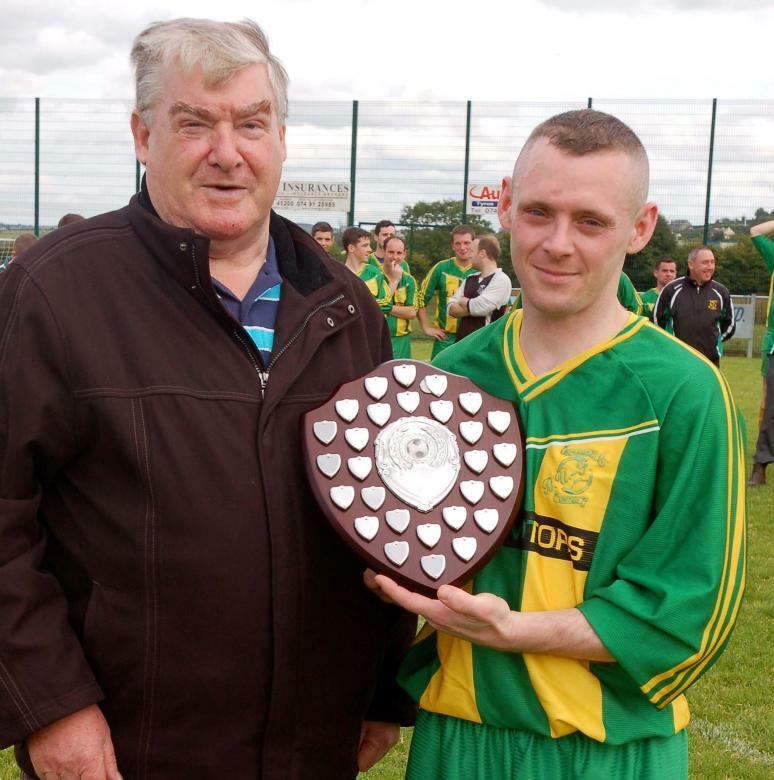 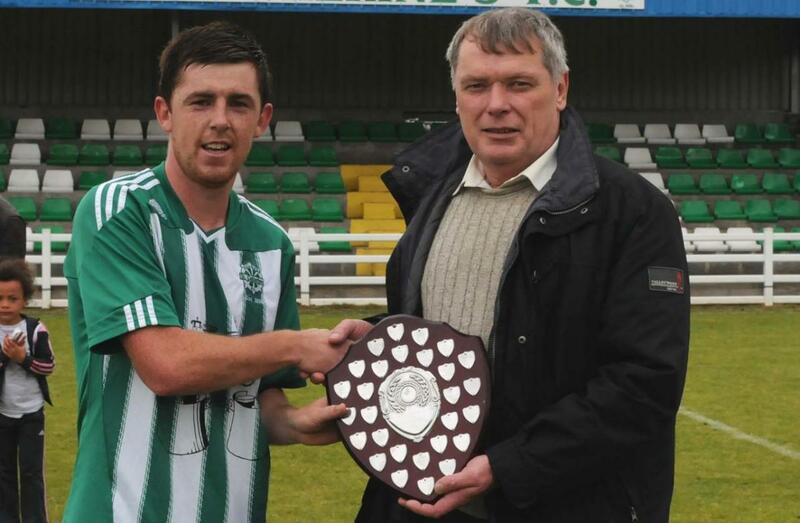 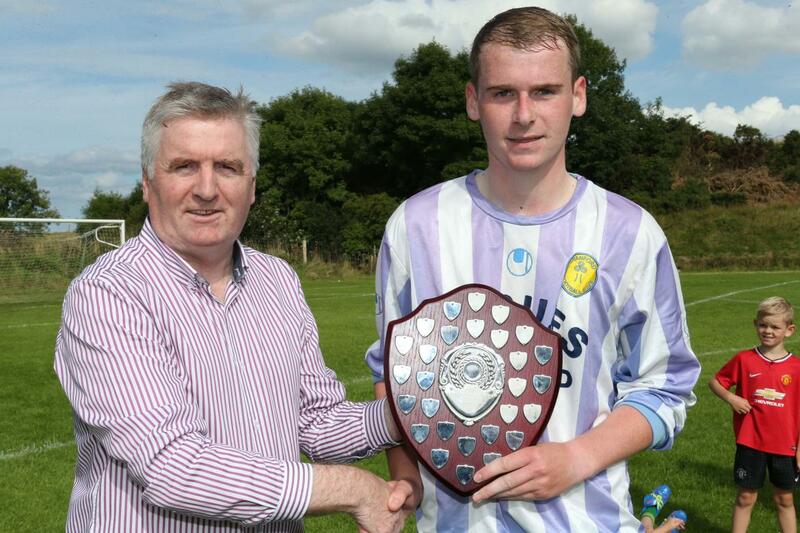 Shane Kelly of Bonage United pictured receiving the Letterkenny Area Shield from League Administrator Terry Leyden. 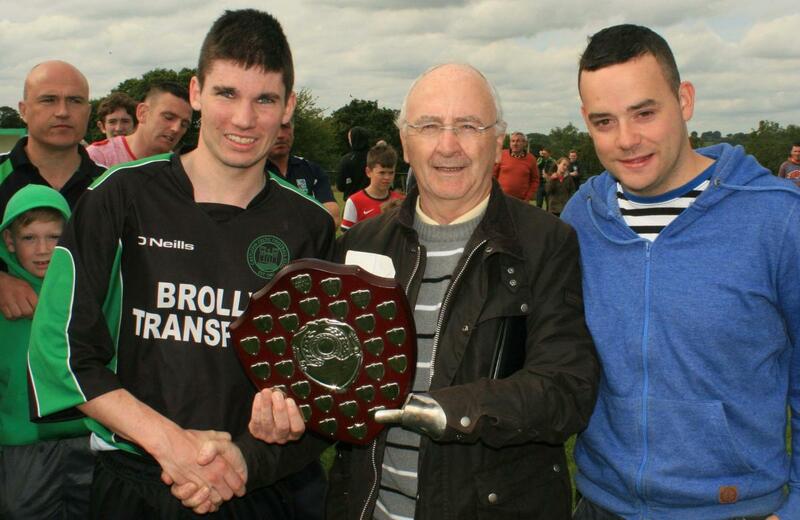 St. Catherines captain Jason Noctor pictured receiving the Donegal Area Shield from League Executive George Mc Mullin. 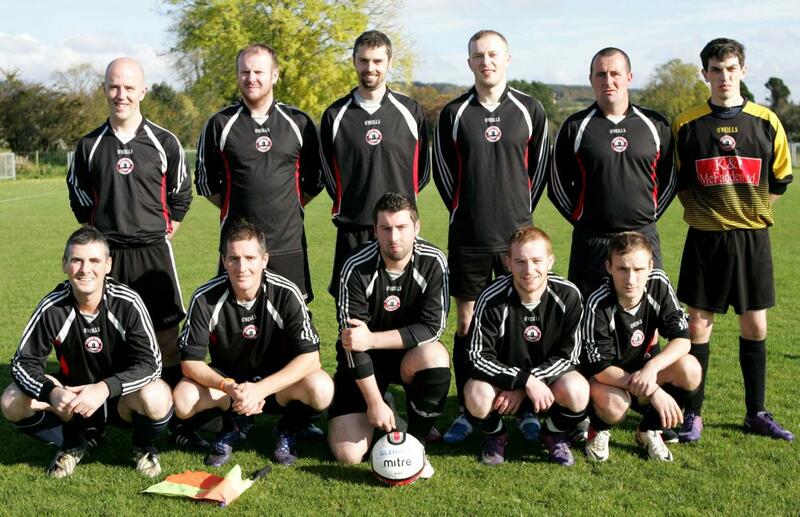 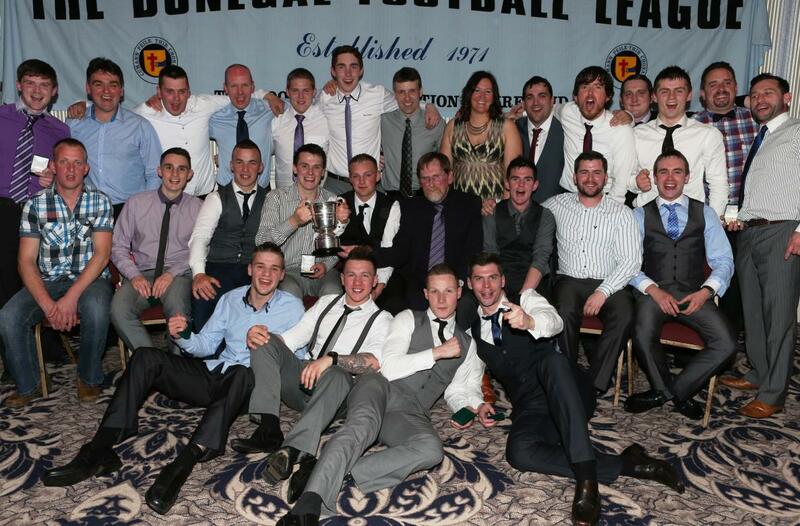 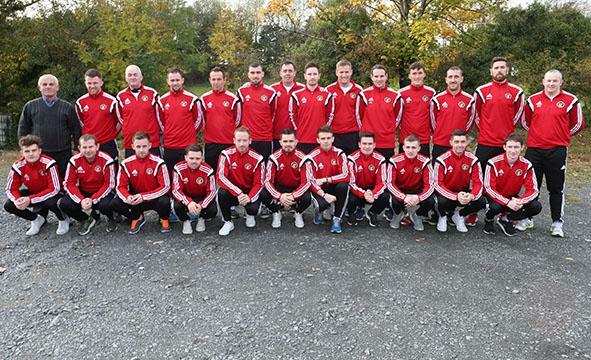 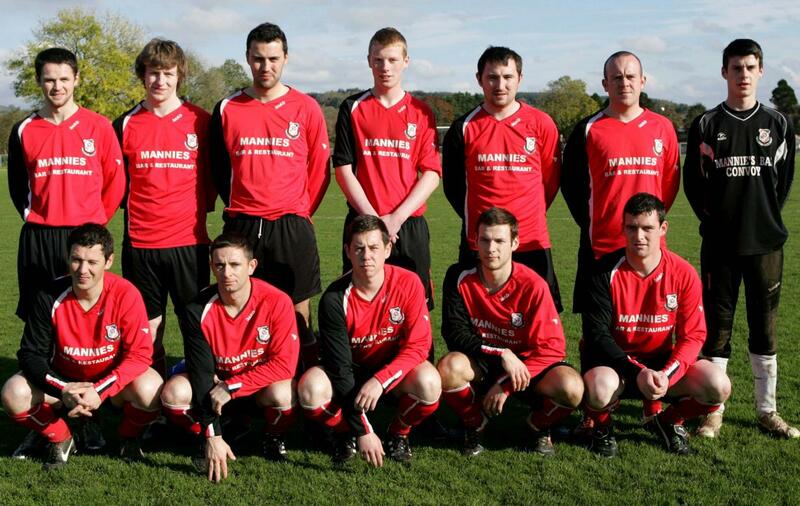 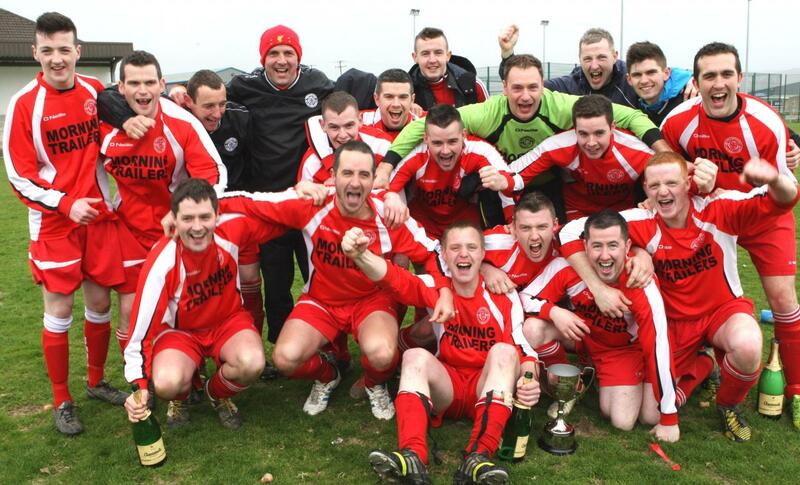 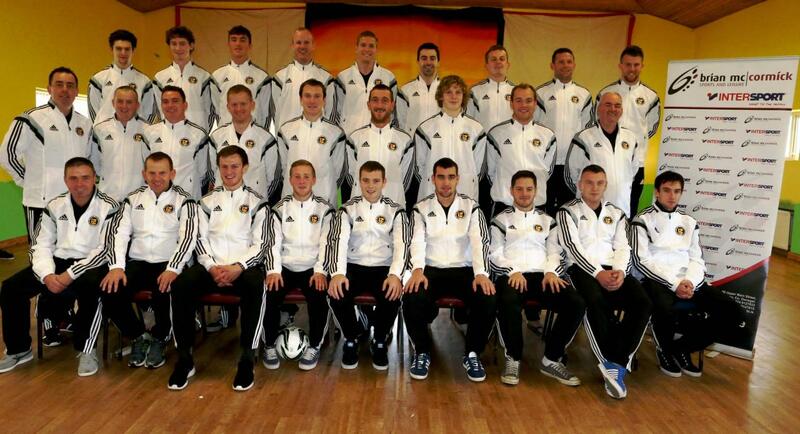 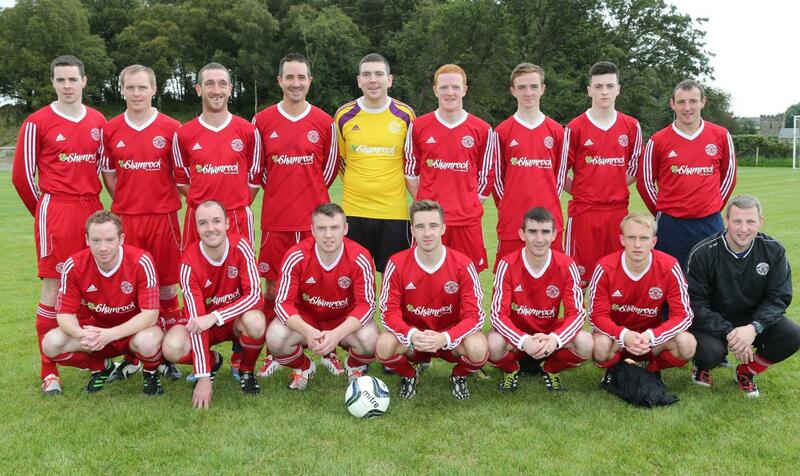 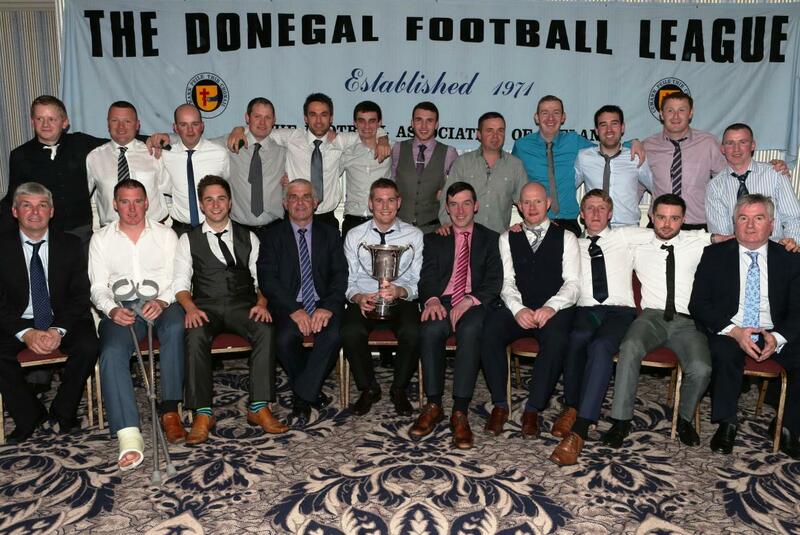 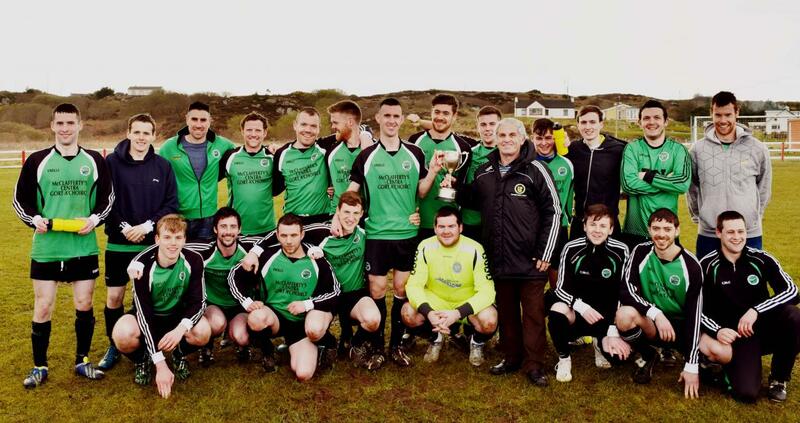 Watson Hire Division One Champions 2013/'14 Drumoghill F.C.